New venues are popping up all over the world at all hours, every day of the week. Seriously. It’s a lot to keep up with, but it’s always inspiring to see the newest spots and to hear the stories behind them. From cool stateside industrial lofts to Mediterranean island villas to Irish country manors, here are 2018's Hottest New Venue Openings Across the Globe. With that, we hope this collection of extraordinary new spaces inspires your upcoming celebrations with friends and family. 99 Scott opened late last year at the Brooklyn intersection of East Williamsburg and Bushwick. 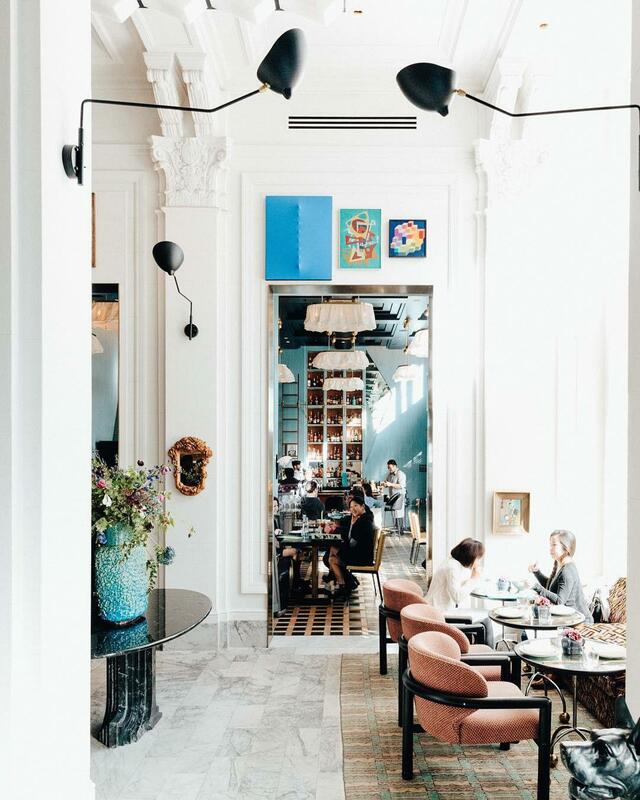 The massive space has a timeworn, old-world feel that we just can’t get enough of. Between the expansive garden courtyard and the industrial interiors, events can hold up to 3,000 guests. 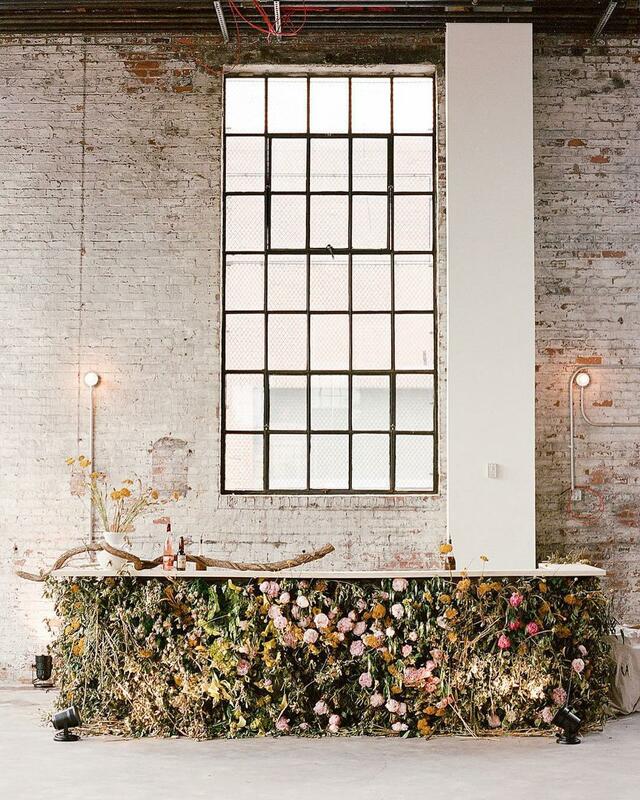 Grass Room is a quirky, artsy space located in DTLA that can be easily dressed up or down depending on your vibe. 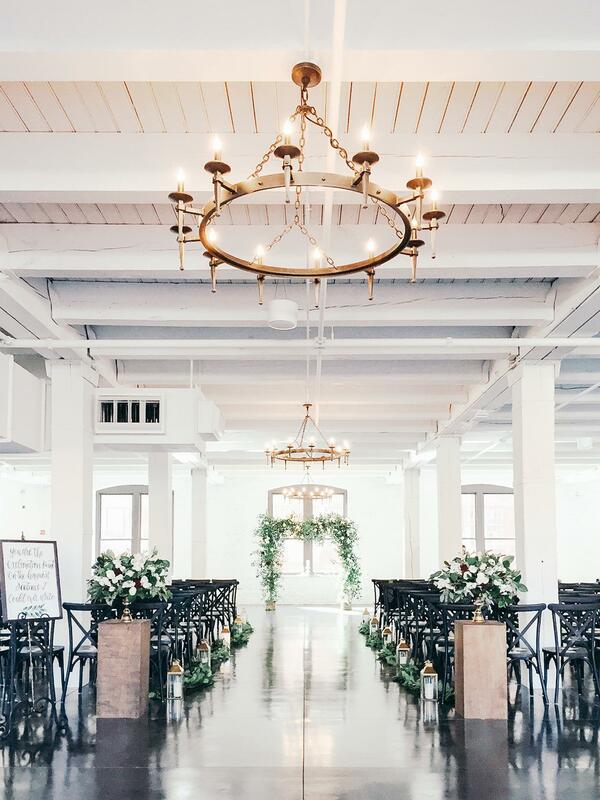 It sits just beside Valentine and the two venues combined can accommodate an event of up to 750 guests, moving through multiple indoor and outdoor spaces and a hidden alleyway too. San Francisco’s latest clubhouse is all about creating a comfortable, beautiful social place for women to interact and workout. 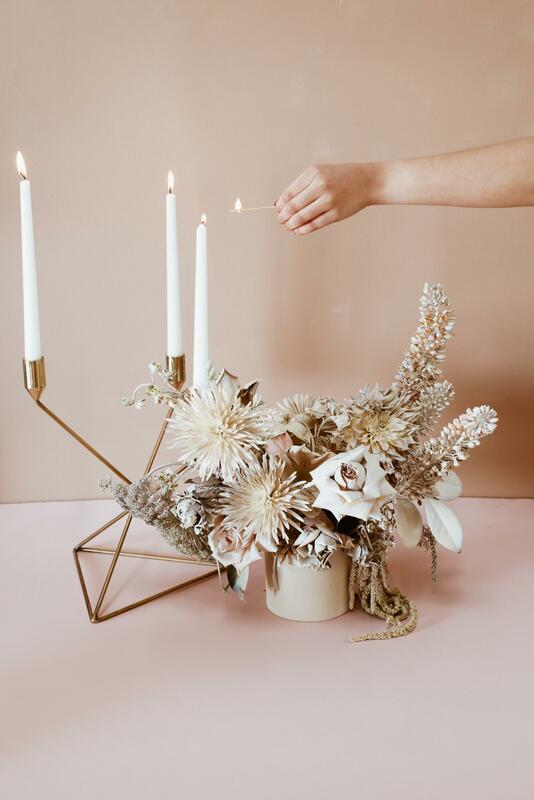 The Assembly is a wellness space that offers fitness classes and health-focused events as well as a kitchen and hang out areas where women can network and connect. When the brilliant team behind YEAH! Rentals (see also YEAH! Furniture, YEAH! Weddings, The Flashdance, Smilebooth, and Sharkpig) announced they were opening a venue last year, we knew it would be good but didn’t know it would be this good. 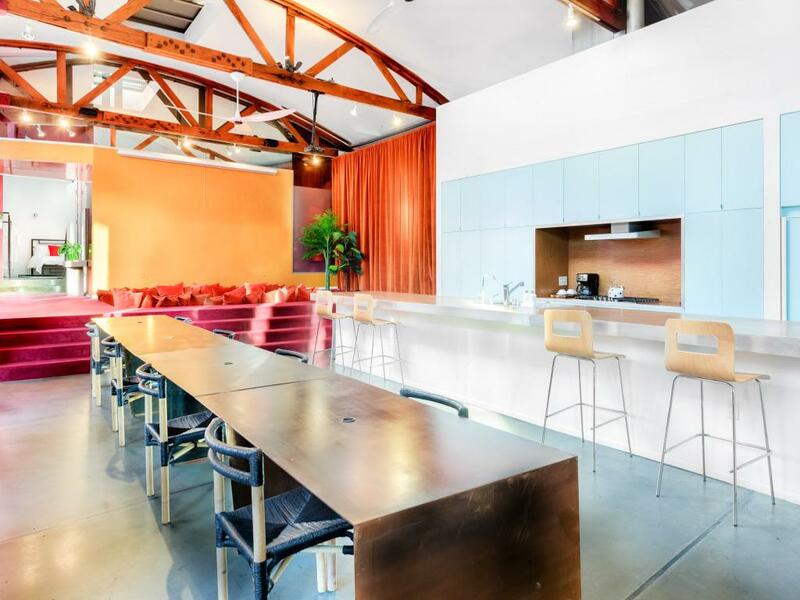 Office Party is a massive Highland Park loft space with huge vaulted ceilings (think 30’), cement floors, really good natural light, and a modular setup that makes events easy to customize. Downtown San Diego’s latest Parisian-style crêperie gives off all the warmth and good vibes you can hope for in a small restaurant. 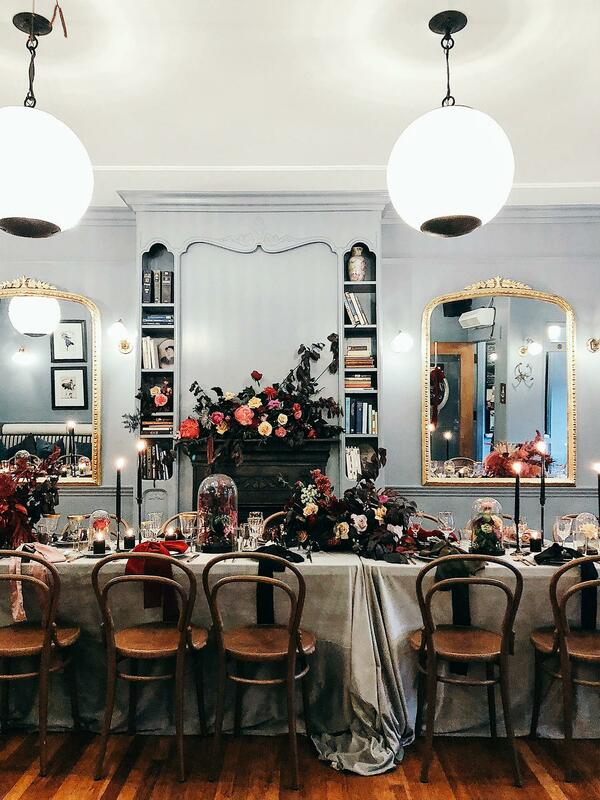 Minou can be rented out for events of up to 30 guests and is packed to the brim with ambience. 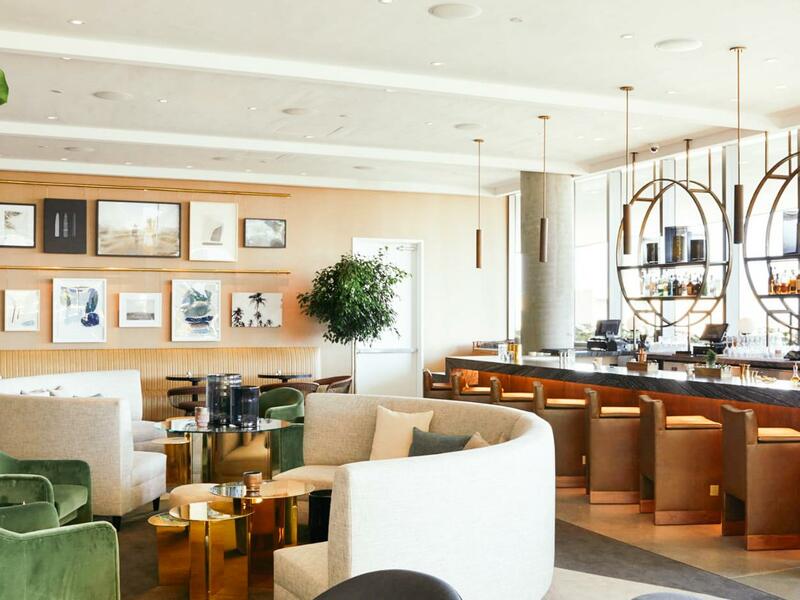 Kelly Wearstler is practically a design goddess in interior realms, so it’s no surprise that San Francisco’s Proper Hotel (which she designed) was a hit from the moment it opened last fall. With 4 non-traditional venues – wallpaper and funky lighting adorned – in the historic flatiron building, this spot is always abuzz. 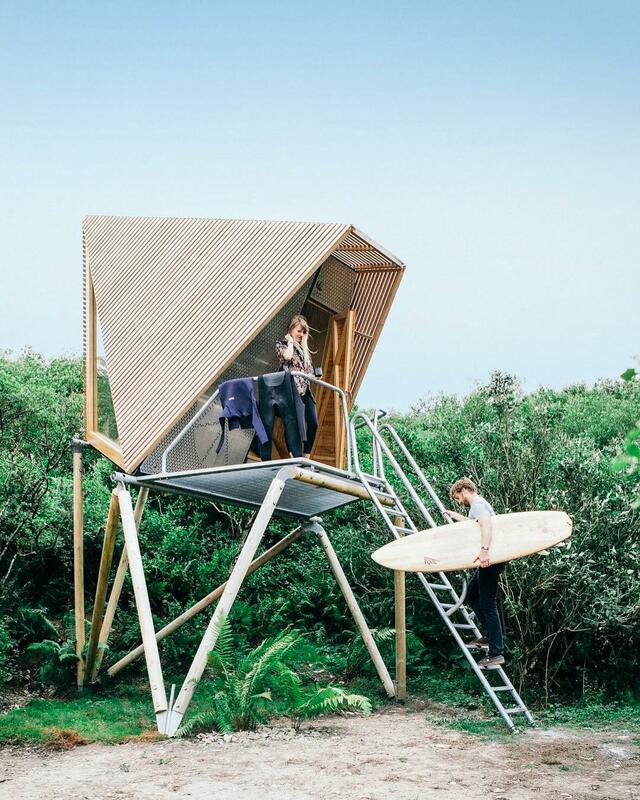 A-Frame Haus sits just half an hour from Salt Lake City, tucked away in the mountains of Heber City. 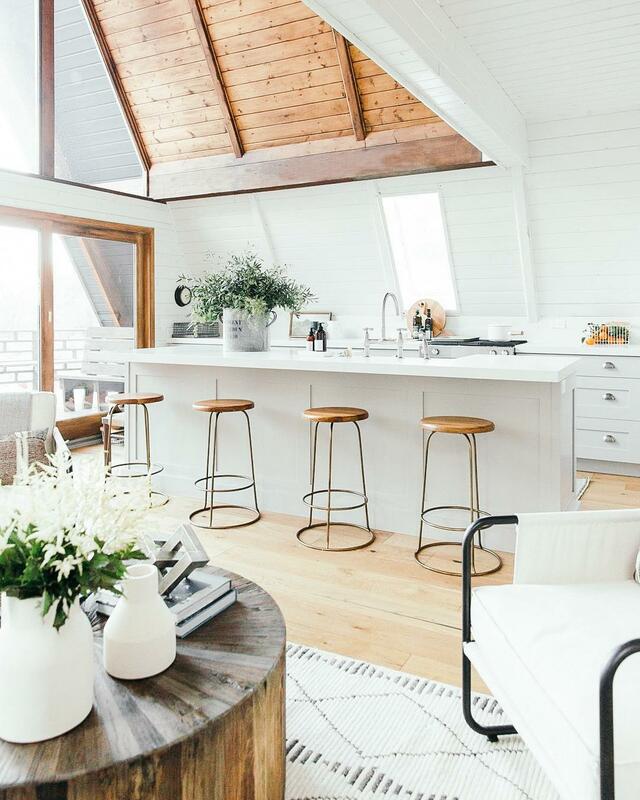 The cozy, modernized house just opened up as a vacation rental last spring and features three bedrooms, two baths, three decks and one very cute Euro fireplace. 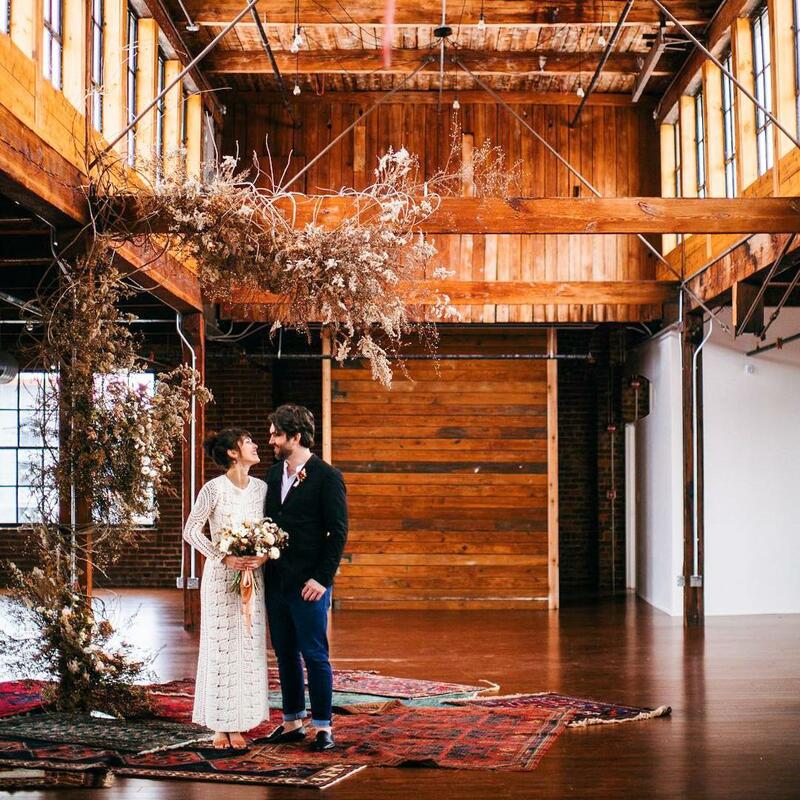 Houston’s latest loft space is an easy fit for weddings and events of up to 200 guests. 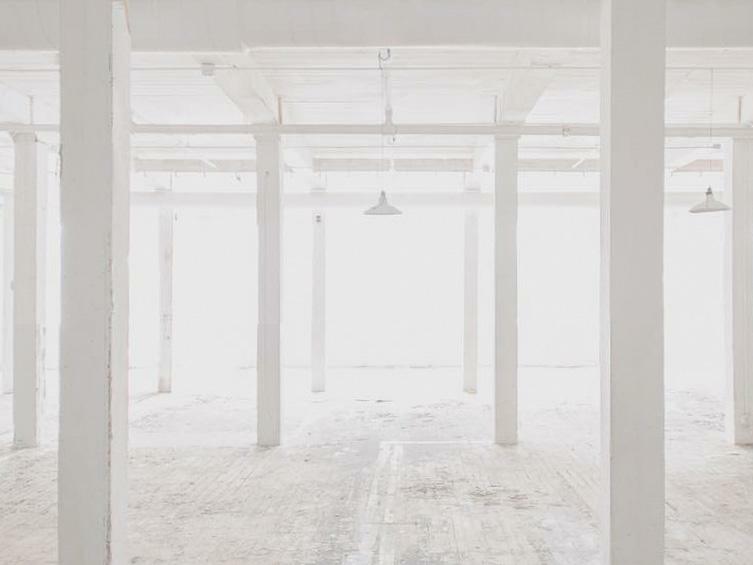 Located in EADO, The Space HTX is an open plan warehouse with all-white everything and polished concrete floors. 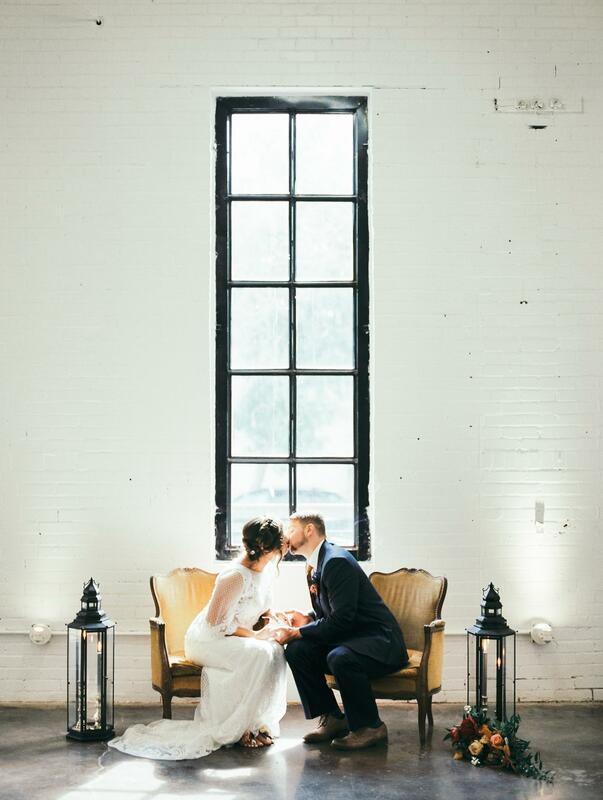 Chattanooga’s latest industrial building turned events venue, The Turnbull Building reflects early 20th century architecture with modern day updates that make it an easy space for events. Weddings, corporate, private events and pop-ups are all fair game. 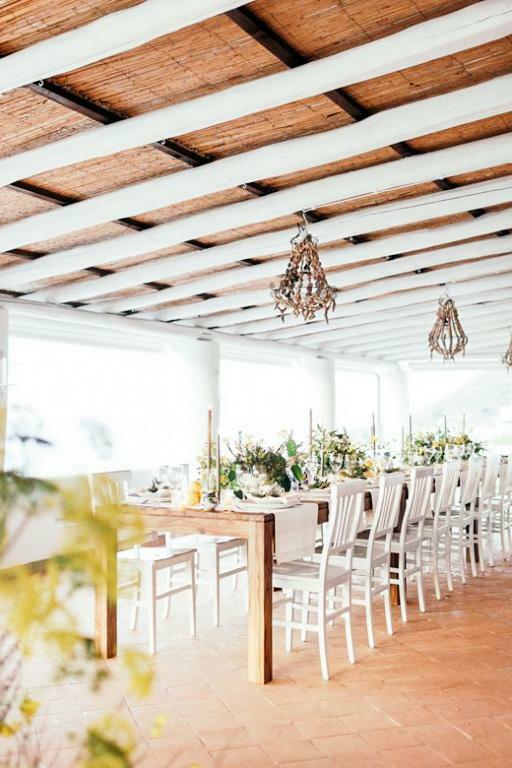 Your dream destination wedding awaits at this Mediterranean jewel on Salina Island. There’s an authentic Sicilian feel to this stunning 12-villa boutique hotel and venue. 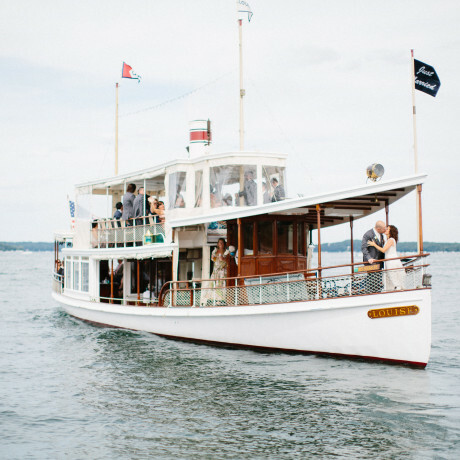 We can easily imagine you taking over the whole spot with your favorite folks in tow and popping up a charmer of a wedding. The Williamsburg Hotel was designed as much for the neighborhood as it was for their guests, with a whole slew of locals contributing to the details, from the decor to the food and even the staff’s uniforms. 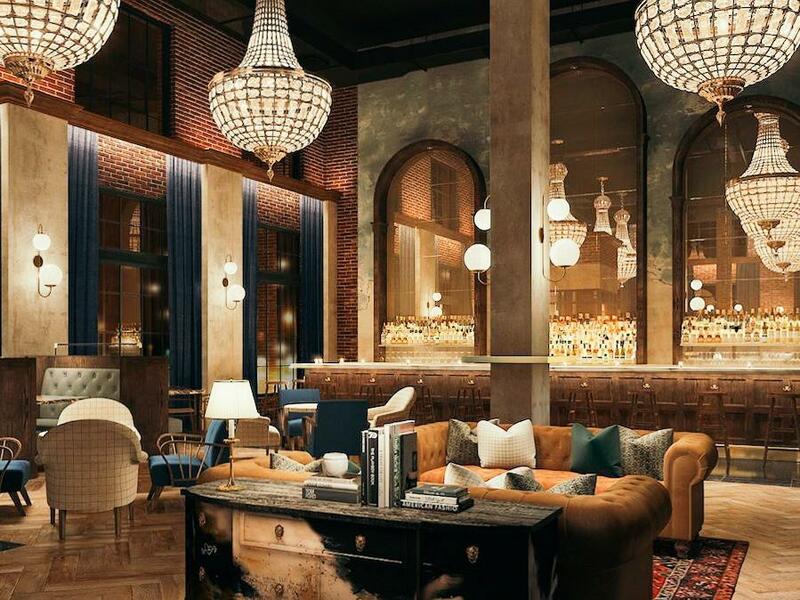 It’s still in the “soft” opening phase, but stay tuned later this year for the opening of their water tower bar, a vegetarian-inspired eatery by chef Adam Leonti and a Grand Ballroom that’ll make all your Gatsby dreams come true. 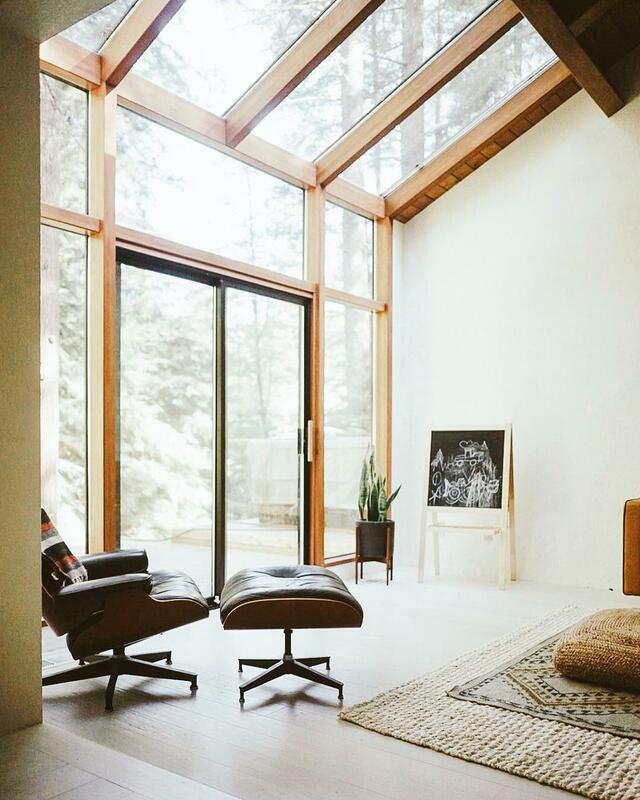 A house in the woods near Mount Hood is surrounded by trees, mountains, river and wildlife, and it’s all yours to take over for a long weekend out of your norm. 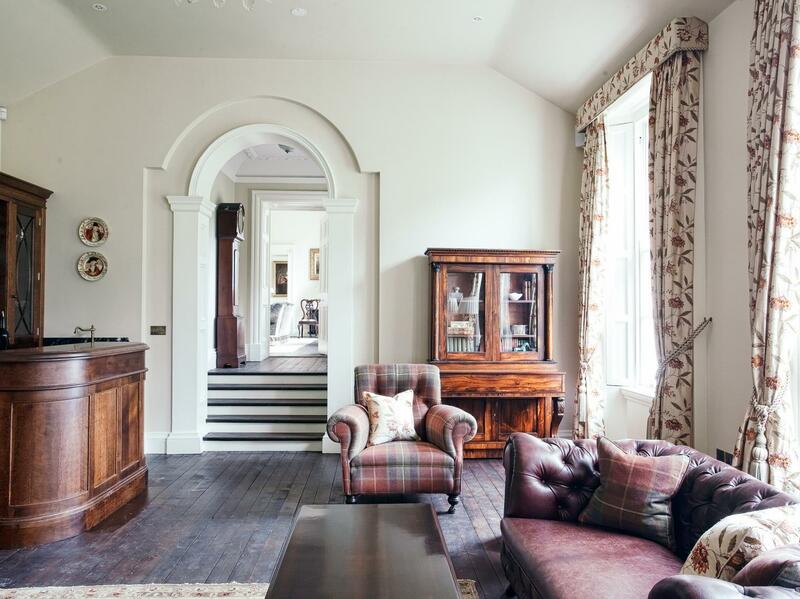 Woodlands House sleeps up to six guests in a home that’s cozy, relaxing and full of charm. 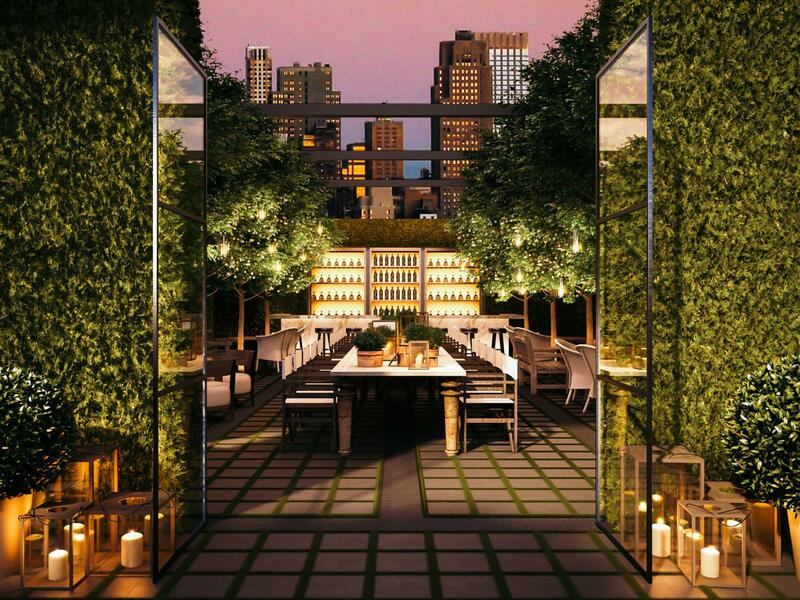 New York’s newest Ian Schrager hotel opened last summer. 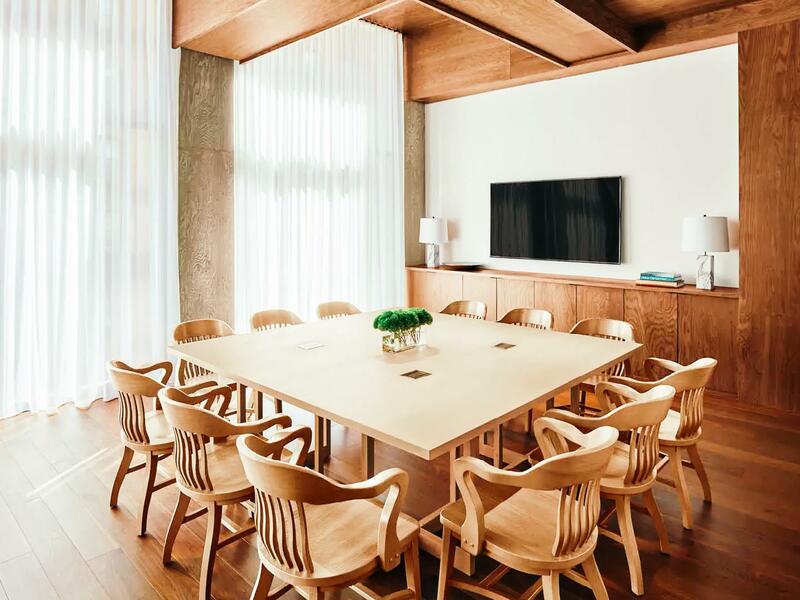 From the floor-to-ceiling windows towering over the Lower East Side, the views are epic, and the approachable luxury concept is palpable throughout the 367-room hotel. In an updated spin on the famous Studio 54, Schrager has also launched a performance arts space at the hotel called Public Arts. A classic LA story, the Kim Sing Theatre has walked a life as a vaudeville theater, zoot suit riot house, Kung Fu theater, event venue, and now, a micro-hotel to retire to when the party has ended. Reopened in Summer 2017 to cater to the luxury crowd, this spot is as exclusive as it is lauded with LA lore. Well, here’s something beautiful for y’all. 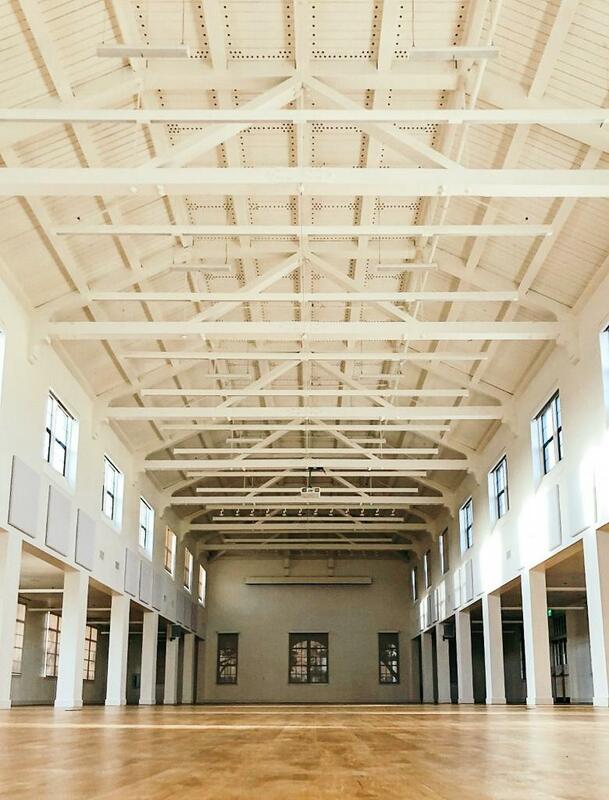 Salt Lake City’s U-West offers a raw industrial space with really good bones and really good details. The events and photo shoot worthy spot is perfect for up to a hundred party people. Read more about events at U West here. 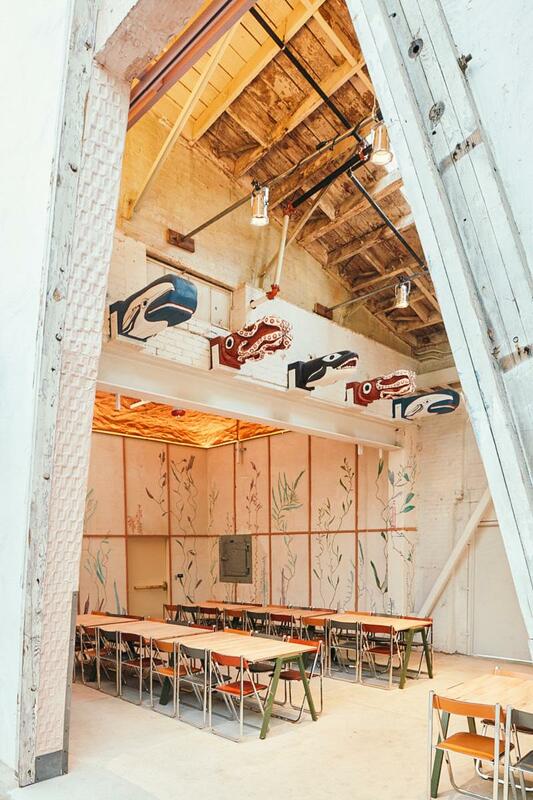 DTLA’s newest events space can be rented independently or in collab with next door neighbor Grass Room, lending its space for an event of up to 750 guests. 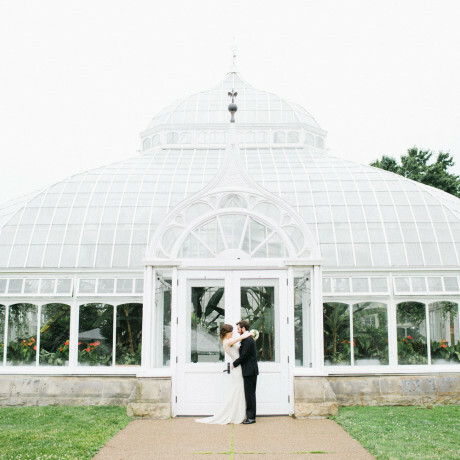 Valentine is reminiscent of a greenhouse, with 30 foot high glass ceilings and tons of lush greenery. Set high above the Dehesa Valley, just east of San Diego, sits a rustic ranch property with a barn that’s fit for a fête. 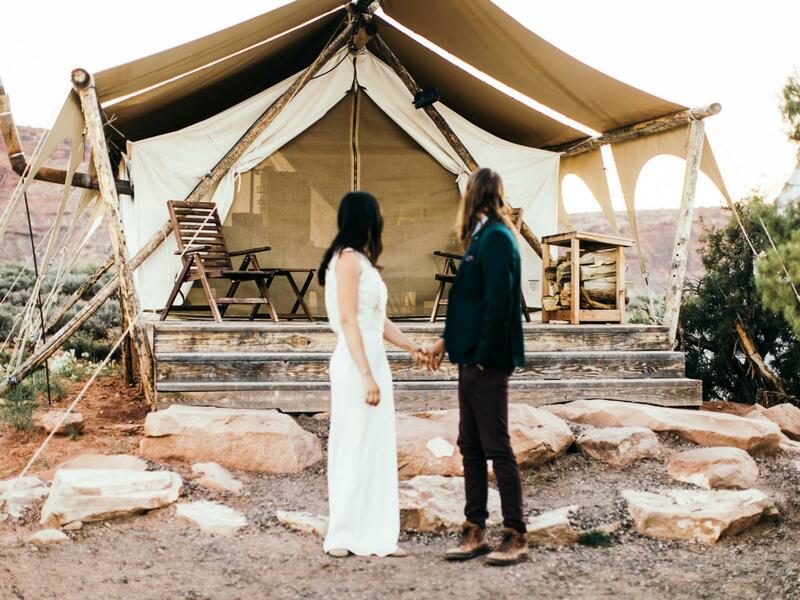 Hey Babe Ranch opened up for parties and weddings in 2017 and makes an excellent location for up to 150 guests in the Southern California hilltops. This Cornwall retreat with tree tents and off-the-grid architectural pods doubles as a center for events and weddings. Check out the amphitheater if you’re planning a fête. Prospect Heights gained a new cooking education facility last year that’s dedicated to making people feel more comfortable in the kitchen. 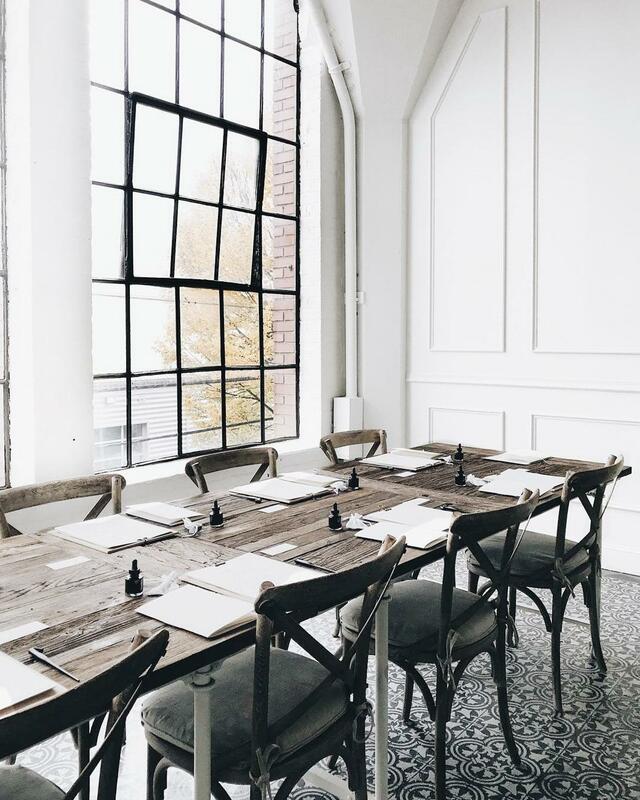 With a gorgeous skylight-lit dining room and a big, relaxed kitchen in a lofty Brooklyn space, Cook Space is available for event rentals, classes, workshops, photo shoots, pop-ups and more. 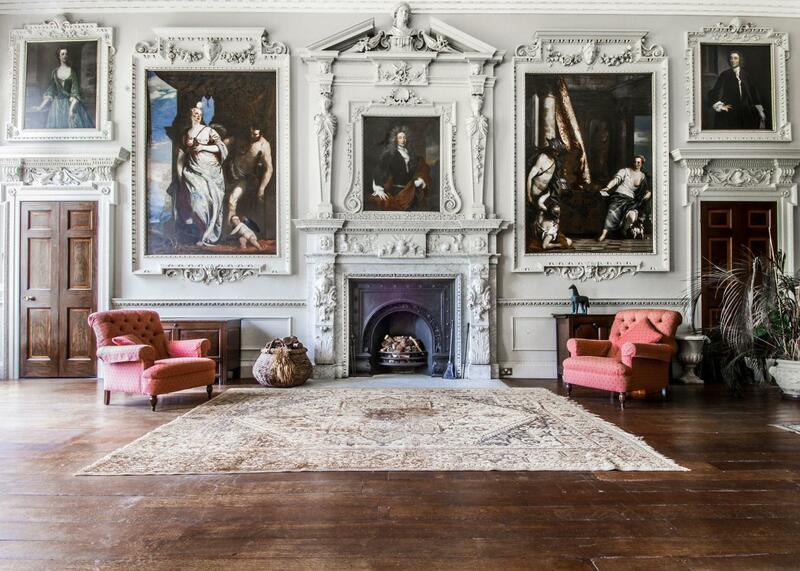 Shropshire countryside’s Hawkstone Hall dates all the way back to 1700 and has recently begun an extensive restoration and refurbishment process. 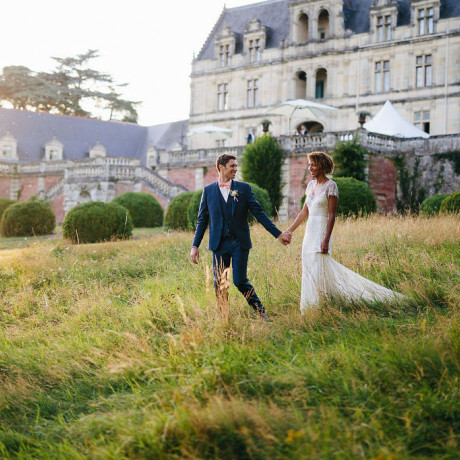 Gather under the detailed ceiling of the Ballroom, beside the huge arched windows of The Gold Room, the private chapel or the light filled orangery. Workshops, pop-up events, cocktail parties and small suppers are just a handful of the event offerings at Portland’s Tendue. 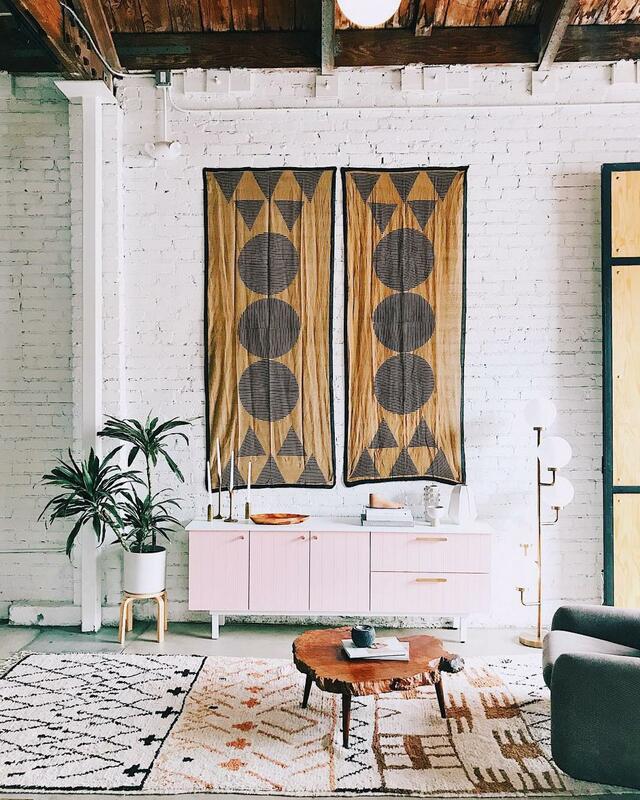 This stunner of a small space exists inside the hundred-year-old Ford manufacturing building that’s also home to a few shops, an art gallery and a café. For sit down events, the space maxes out at 16 guests while standing events max around 35. In the Maryland countryside, about 40 minutes north of Baltimore, sits a sprawling country estate that’s perfect for events. Foxfire opened just last year and features a beautiful old manor house that sleeps up to 17 guests and an additional 4 in the two-bedroom cottage alongside multiple gardens and outdoor reception areas, a couple of small indoor dining and party spaces, and a terraced pool. 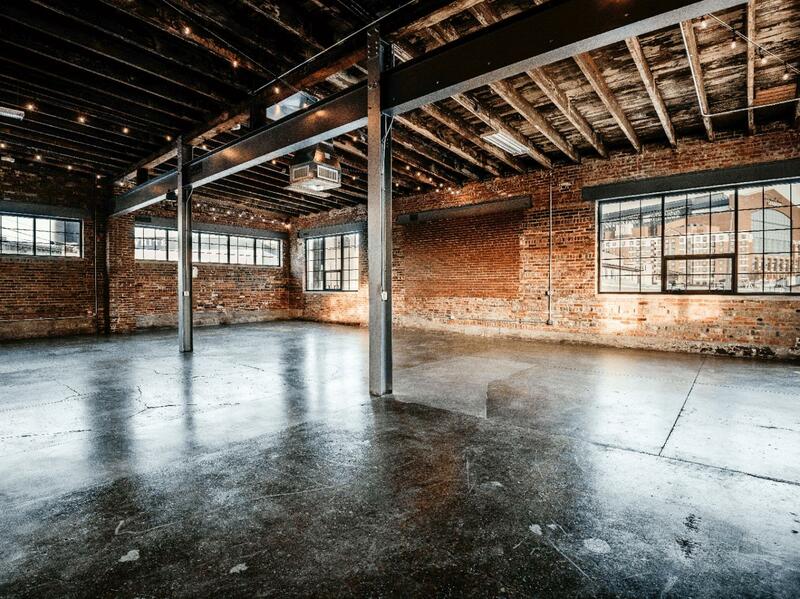 Nashville’s newest industrial loft space, The Quarter, sits in the heart of downtown just along Second Avenue. 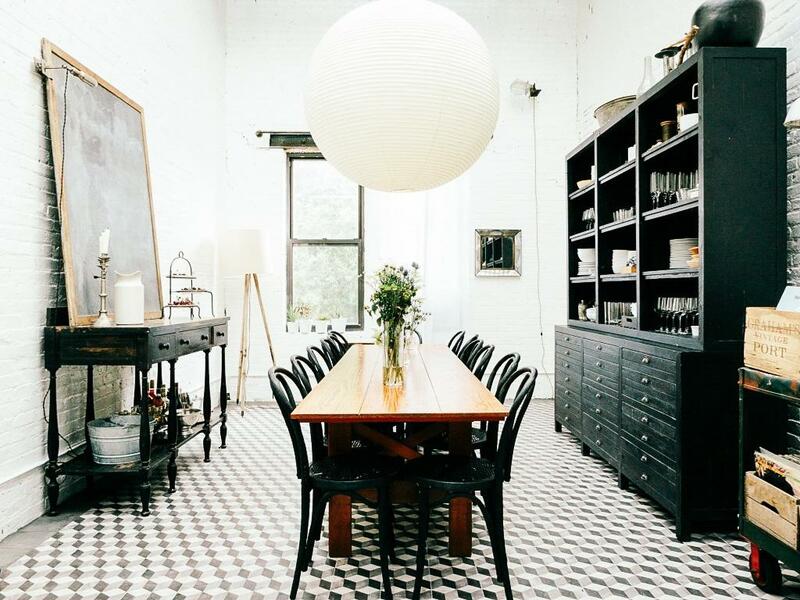 Hardwood floors, high ceilings and brick walls are complemented by modern chandeliers at this historic building that dates back to the late 19th century. 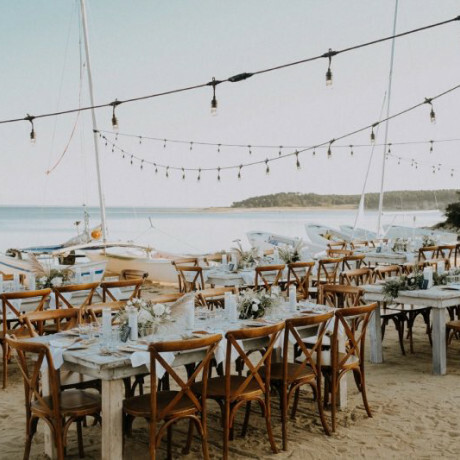 Located just a couple hours south of Sydney, along the coast of New South Wales, Seacliff House offers an all-in-one wedding venue. 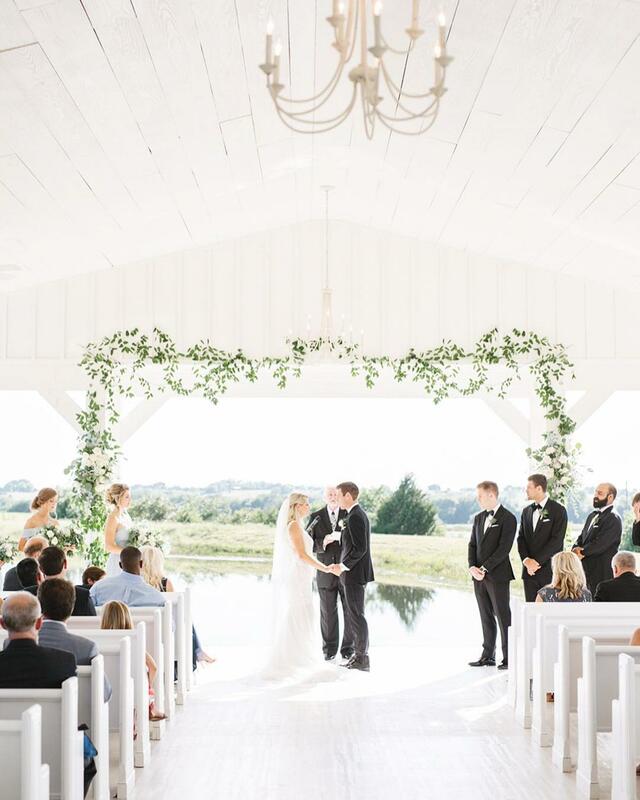 Ceremonies typically take place overlooking the rolling pastures while receptions for up to 180 guests can be held inside the modern barn with high ceilings, whitewashed walls and roll-open window walls. There’s also a little guest house that can accommodate up to a dozen overnighters. 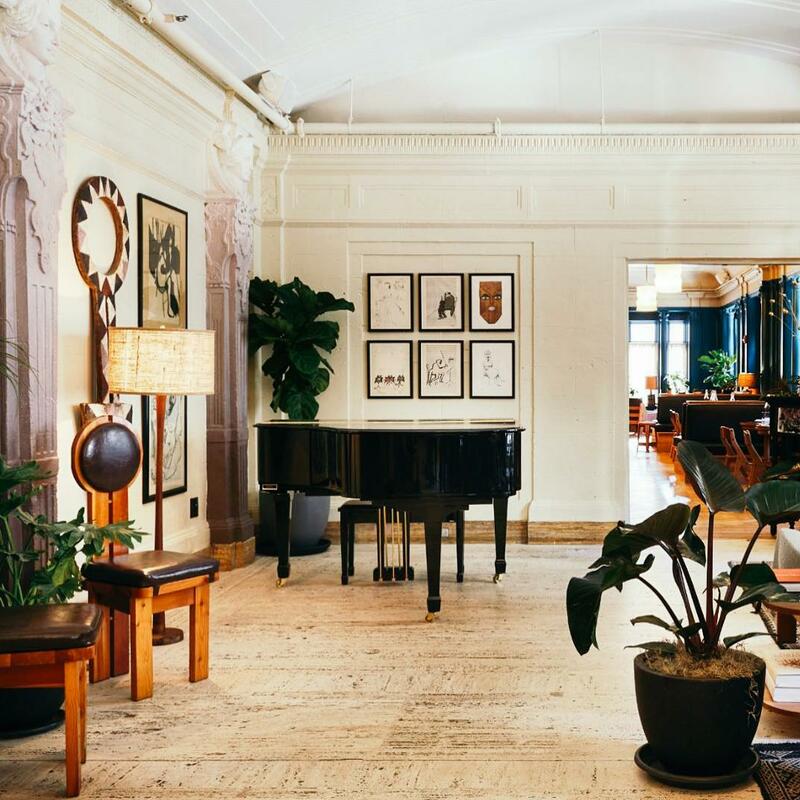 The recently-opened Detroit Foundation Hotel is a chic 100-room spot built in the former Detroit Fire Department Headquarters complete with three spacious venues. The formerly deserted downtown has morphed into an edgy urban center where once-abandoned buildings have been given new life as trendy stores, innovative restaurants and boutique hotels with genuine historic charm. 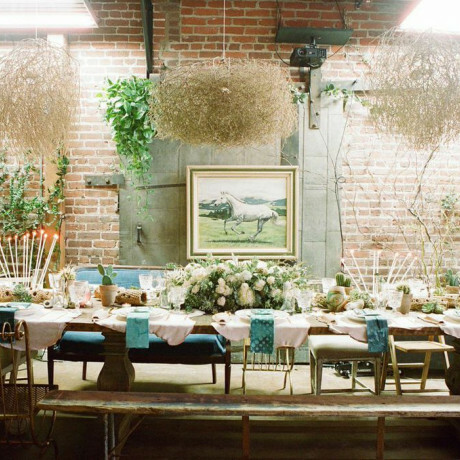 The newcomer to LA, Freehand offers a wide variety of party, event and wedding spaces for the discerning event host. 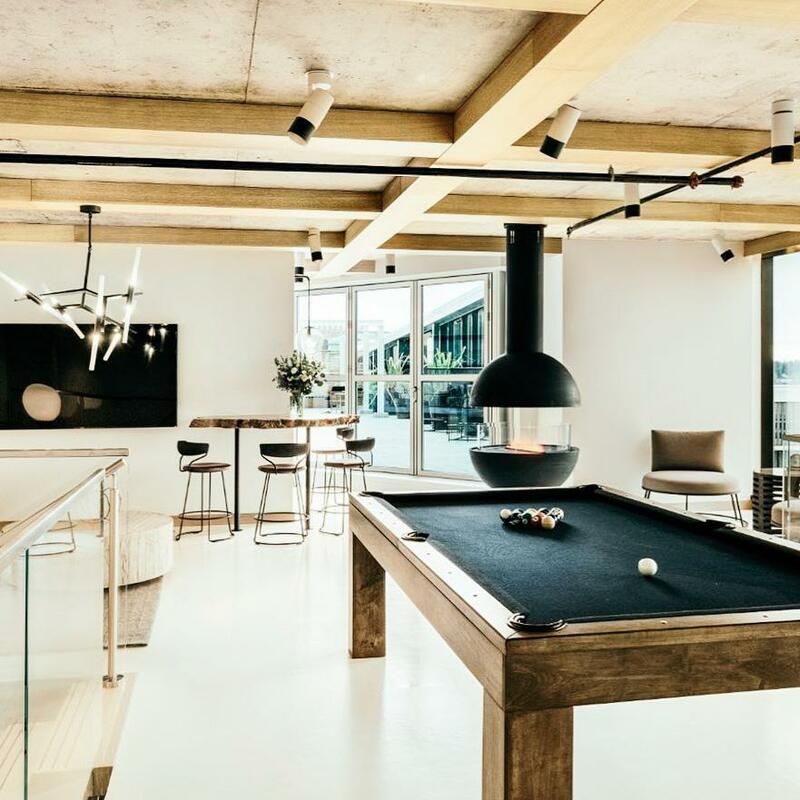 Choose from a party pad in a loft suite, in one of the restaurants, at the poolside bar or in another of the outdoor settings. 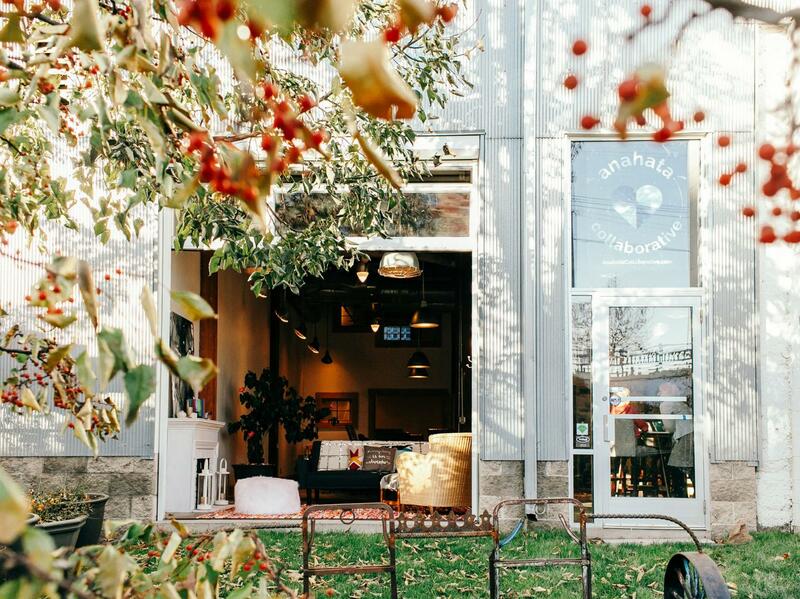 Anahata Studio offers a slice of zen in Uptown Minneapolis. It’s a collaborative space where you might find interesting classes to take, events to attend or you may even want to host your own. 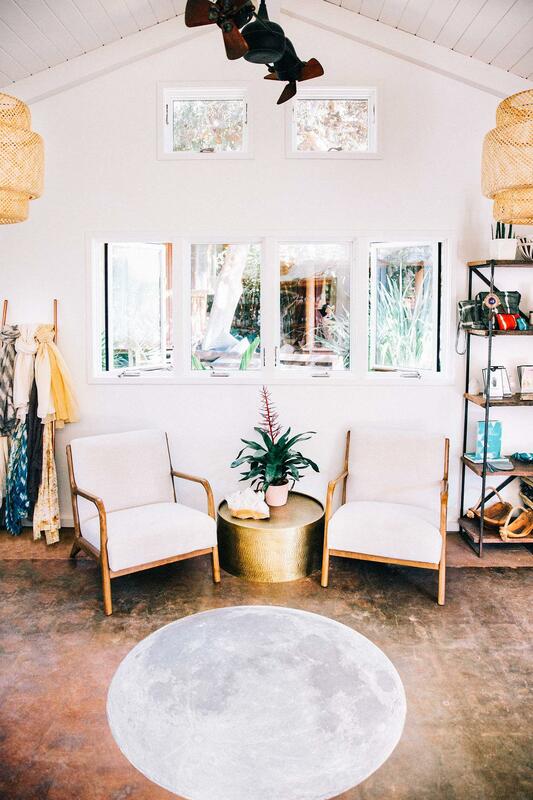 An Encinitas wellness studio that feels more like you’re on a tropical island than in San Diego, Four Moons Spa opened in 2017 and has since gained quite the local following. 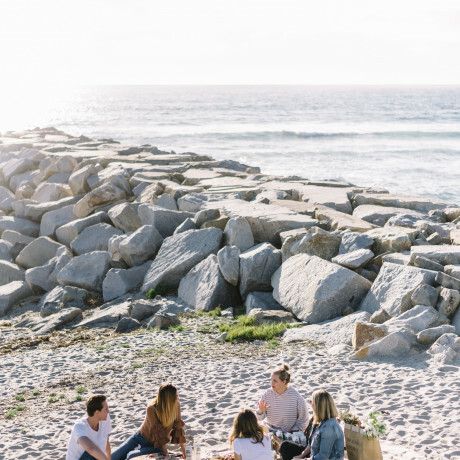 If you’re looking to plan an event where health is the focus, this could be the perfect pop-up spot. When you need wide open spaces, Cleveland is the place to go. The Madison is scheduled to open this summer and will be every bit the whitewash-walled industrial gem you’ve been looking for. Invite up to 500 guests for the hottest soiree this town has seen. 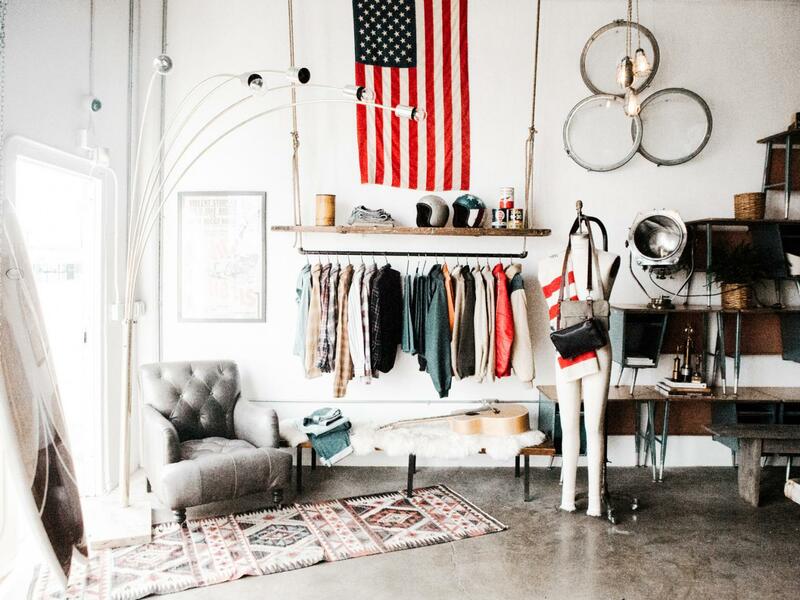 American Vintage House opened up in Newport Beach last year and is not to be missed if you’re into rifling through vintage finds and not-so-basic homewares. 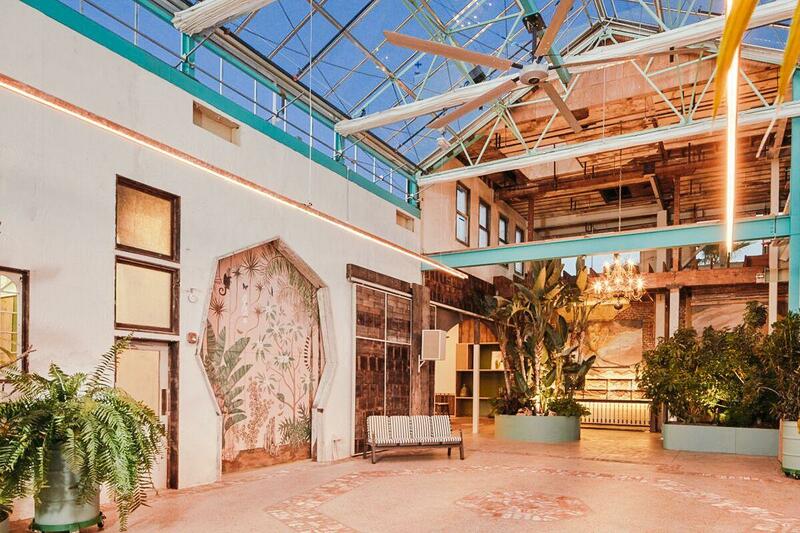 It’s a retail shop but also doubles as an event space, photo shoot venue and prop house. Picture a big, open industrial warehouse that dates back to the early 1900s with massive skylights running through the center of the space. Now picture that space being the place where you host your wedding or next big throw-down. 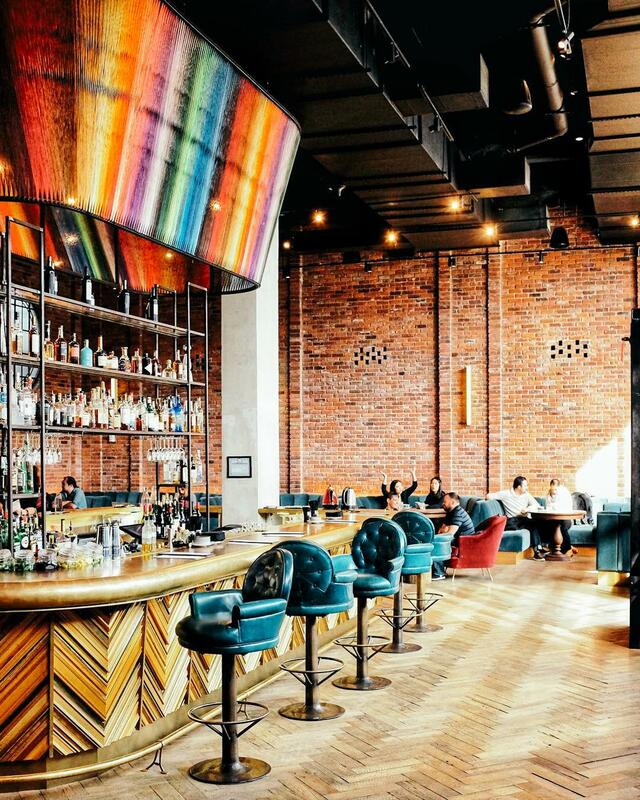 Denver’s Skylight can hold a party of epic proportion, so check it out when you’re ready to get the revelry going. 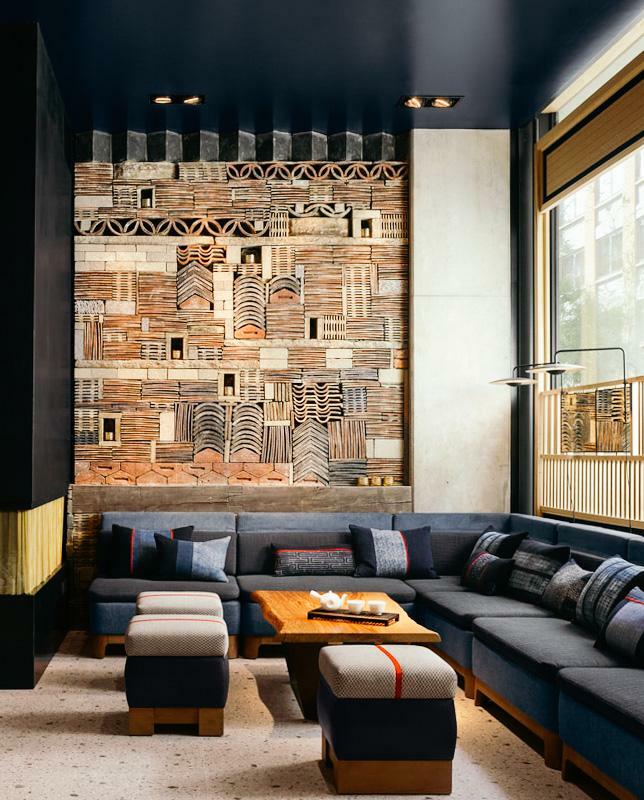 Making it’s West Coast debut, NoMad hotel has just landed in downtown LA. 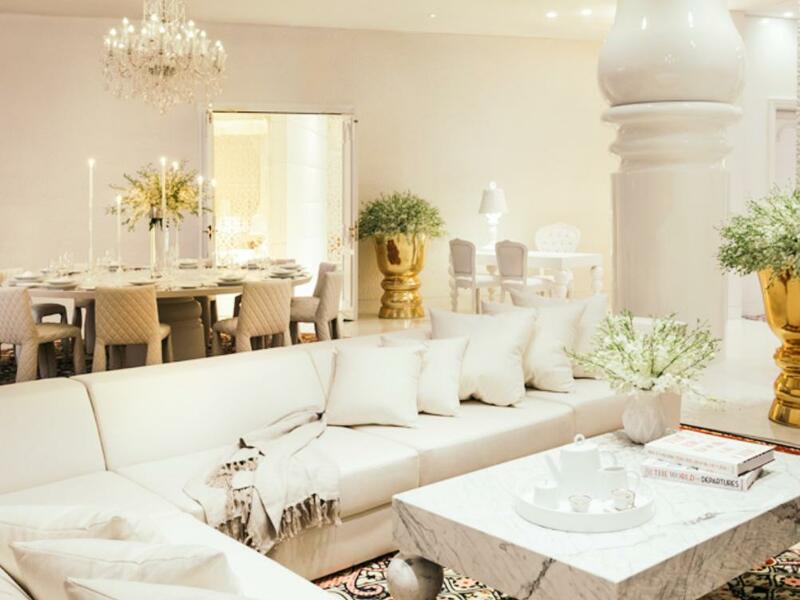 With Italianate architecture inspiration, Parisian art and Persian floor coverings, it’s easy to see how this luxury hotel gathered its moniker. 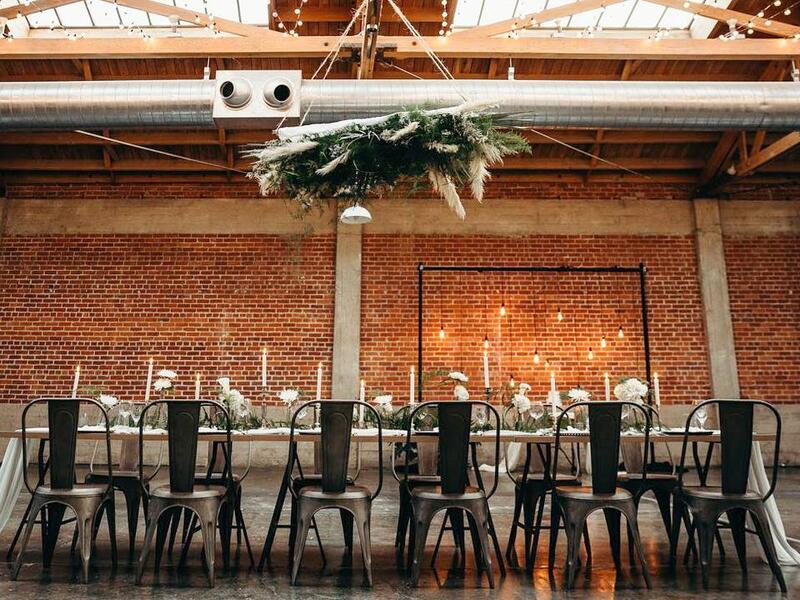 And with over 10,000 square feet of event space, NoMad LA is the perfect spot for your next global-inspired gathering. 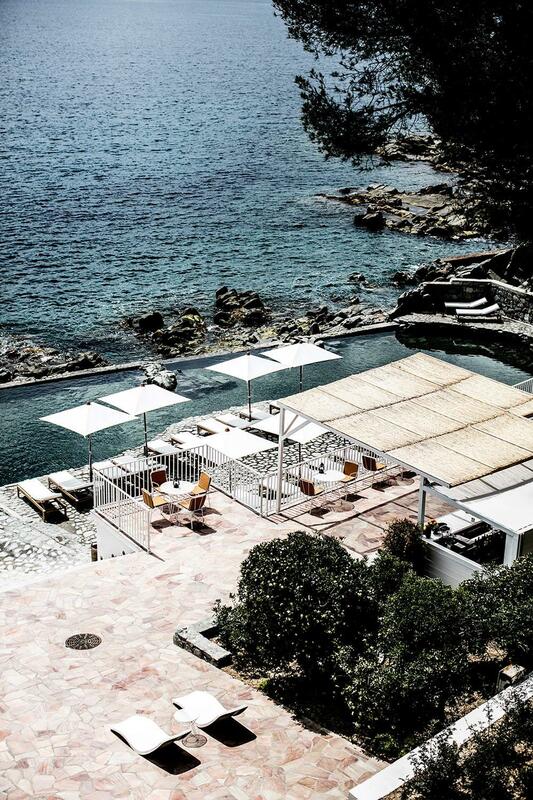 Hotel Les Roches Rouges may be small but it is mighty in its Mediterranean ambience. Weddings at this luxurious getaway can suit an intimate group of up to 60 guests with sweeping views of the gardens and surrounding sea. Located in LA’s South Park, Hideout is a mixed-use venue with a massive 12,000 square foot rooftop. For parties outside, this space is lit. 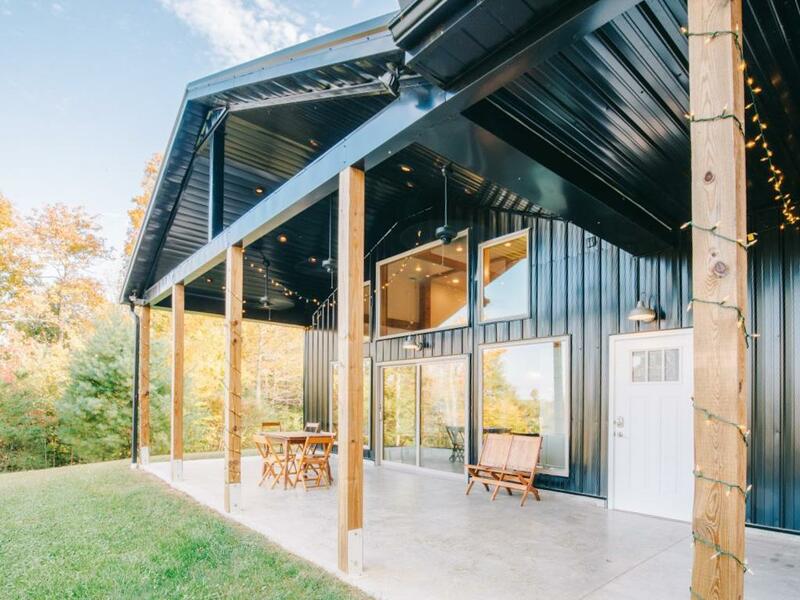 If you’d rather be indoors, you’ll have two options to choose from, one that’s more wooded and rustic and another that’s more concrete and slick. A couple of massive hangars with soaring ceiling space, a bridal suite and a gentleman’s lounge are the highlights at Hangar 21 in Fullerton. So Cal catering fave Jay’s Catering manages the venue and can handle events for up to 1,200 guests at this spot. Fiji’s Kokomo Private Island Resort is just as lovely and secluded as it sounds. This slice of paradise opened last spring with the guarantee that each event held here receives nothing short of the Royal Pacific Islander treatment. 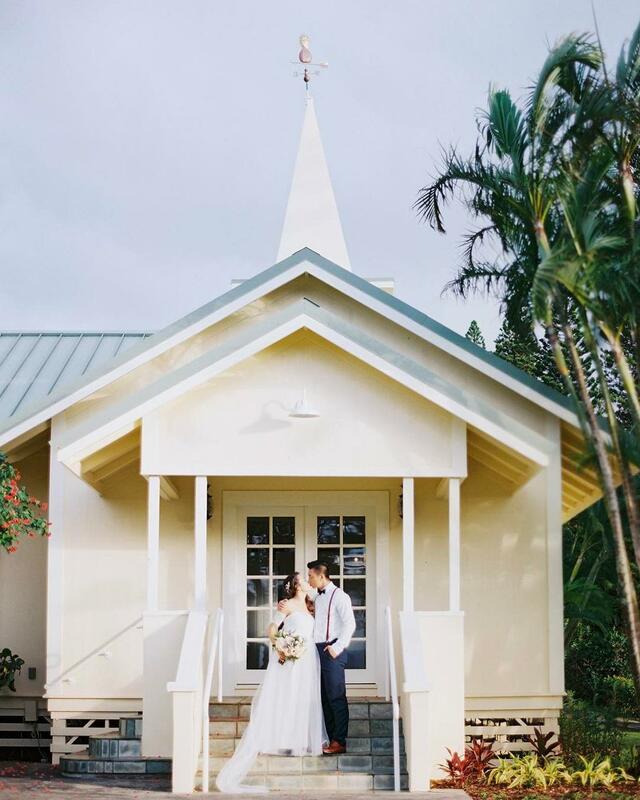 This sweet Hawaiian venue dates back to the 1950s and the on-site chapel has recently been restored to all its original glory. The Steeplehouse at Kapalua also features a gorgeous terrace with views of the ocean, and a manicured lawn that’s perfect for event tents. 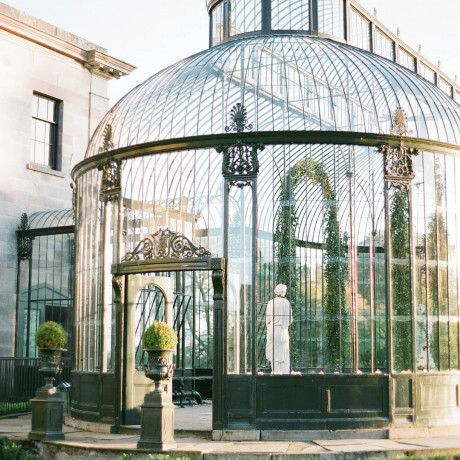 This Irish countryside manor makes for a gorgeous wedding space if you’re planning a smaller occasion, or a brilliant getaway spot if you’re traveling with a crew. Carrowroe House has over 200 years of life behind it and has recently been restored to show off all its gorgeous original details. 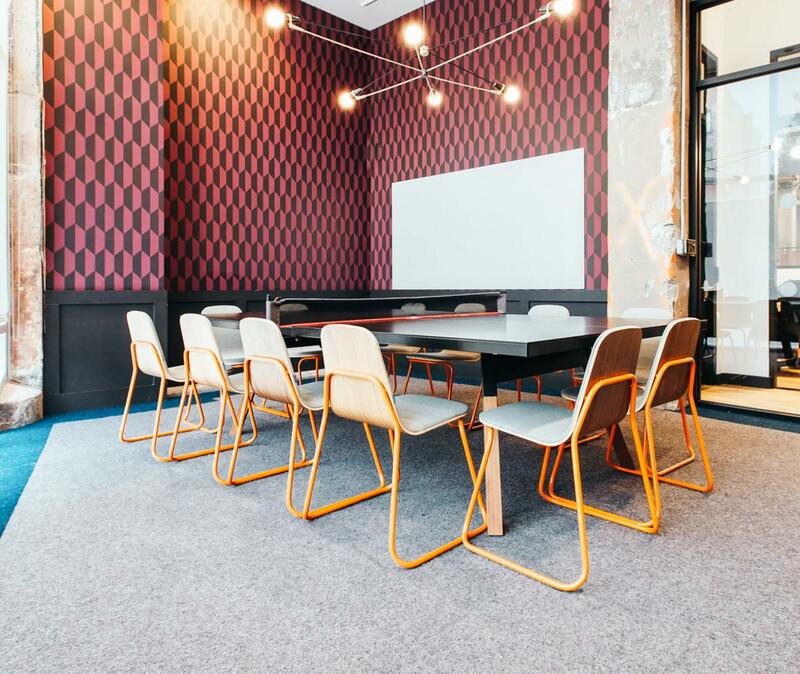 WeWork Philly sits in an industrial space with lots of lounge areas, meeting rooms and conference areas. Located in the Northern Liberties neighborhood, with Schmidt's Commons just outside the front door, the building itself is a former brewery with a ton of history behind it. 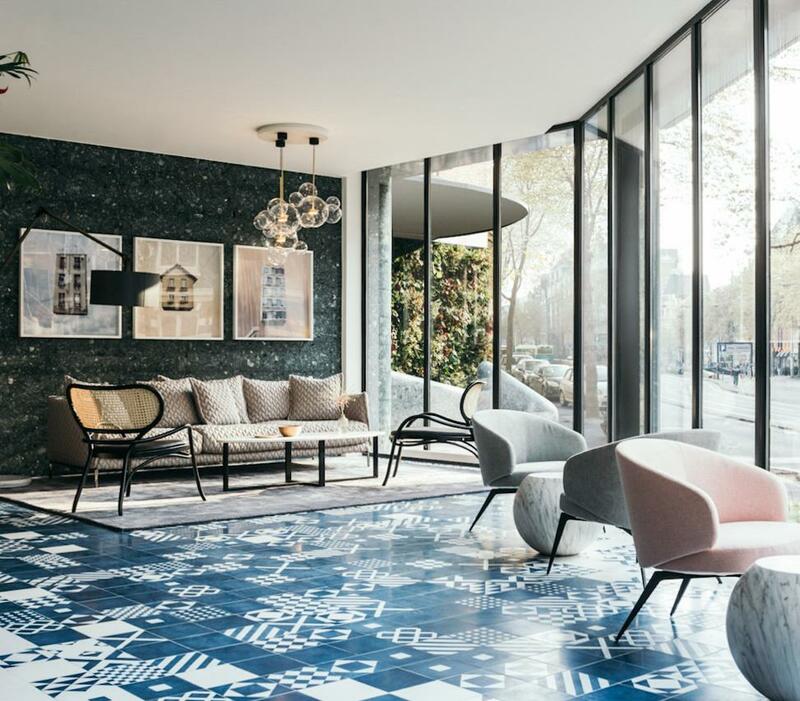 With design nods that harken back to the Dutch Golden Age, the new Kimpton De Witt in Amsterdam opened in May last year. 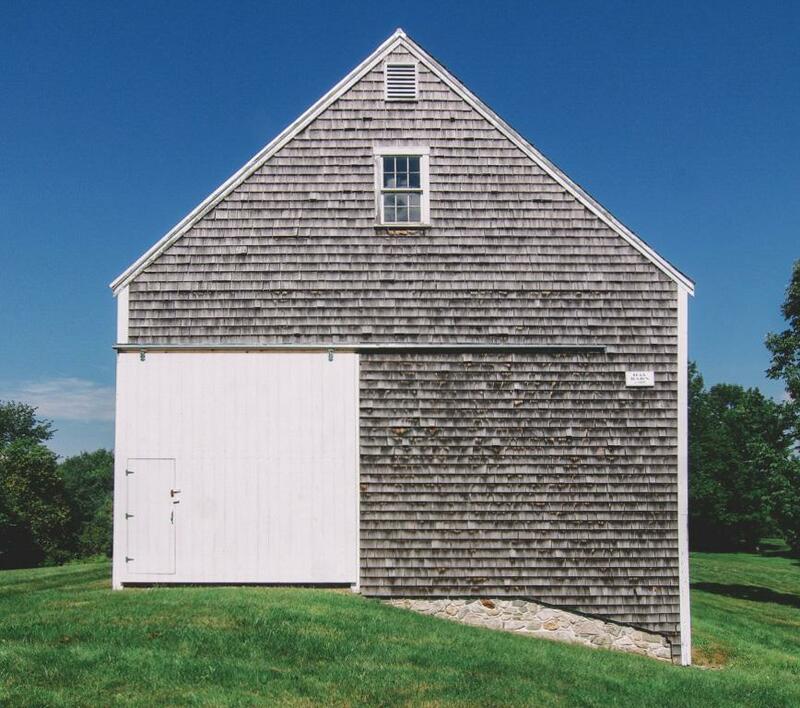 Host your wedding, corporate event or birthday party amongst 17th century Dutch architecture paired with modern art. 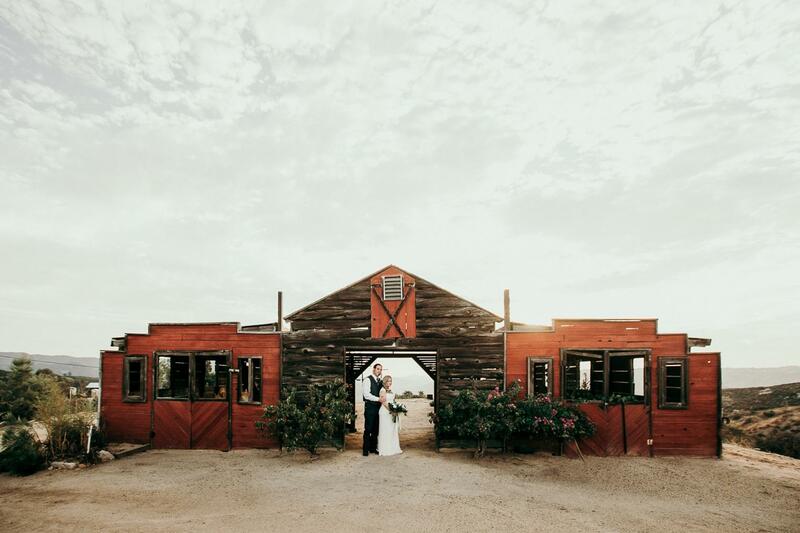 The barn at The Grand Ivory is as southern as they come, featuring a covered porch, towering ceilings and whitewashed cedar throughout. 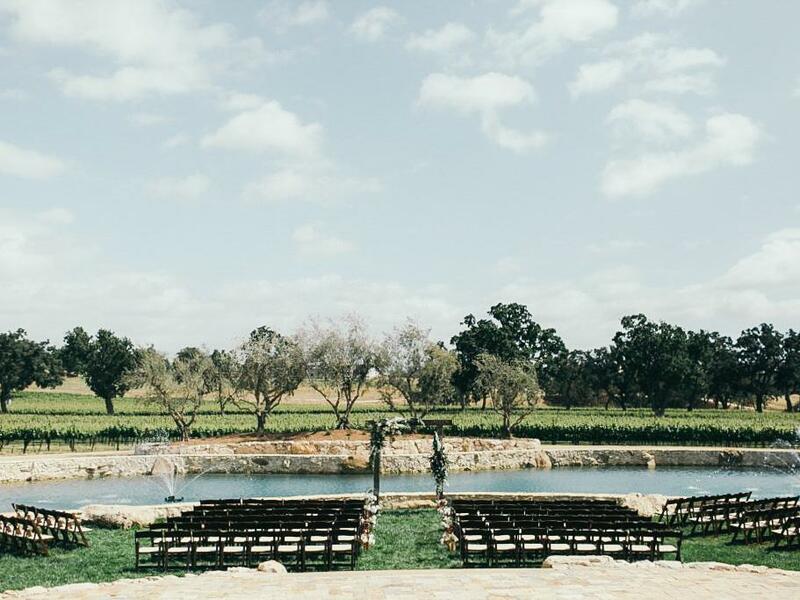 This countryside Texas wedding venue also has an open-air chapel and two cute cottages for couples to get ready in. There’s a barn, an oak room and a gorgeous stately courtyard at this Nottinghamshire wedding venue. Hazel Gap is fabulous for an event of up to 150 guests and you can party all the way till 1am. 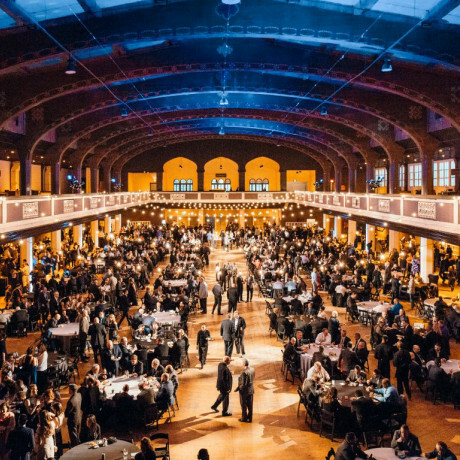 This 20,000 square foot venue can fit up to 750 guests in a space that’s old, storied and full of life. Company 251 in Aurora, Illinois dates back to 1908 and was once a manufacturing building. 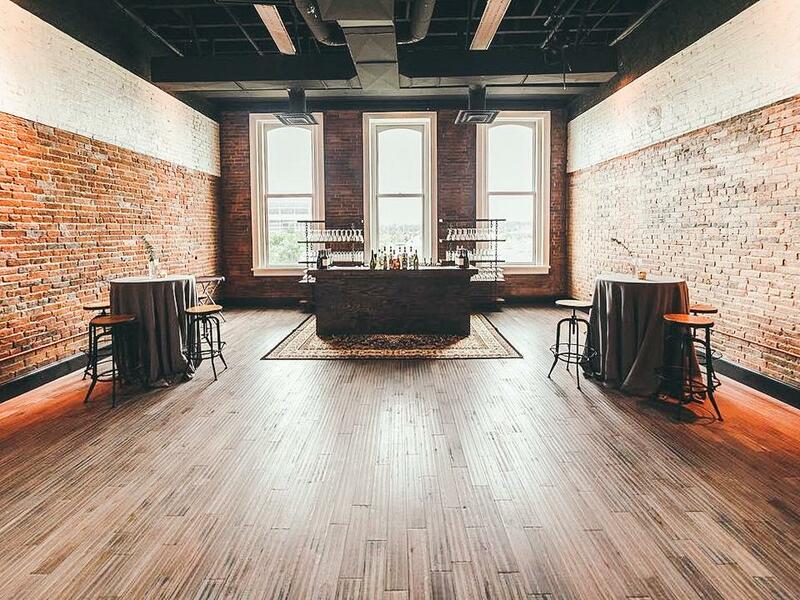 In its new life as an events haven, expect to find big marble bars, floor-to-ceiling windows, hardwood floors and a whole lot of exposed brick. This 19th century dairy farm sits just 75 miles outside Chicago yet feels worlds and years away. 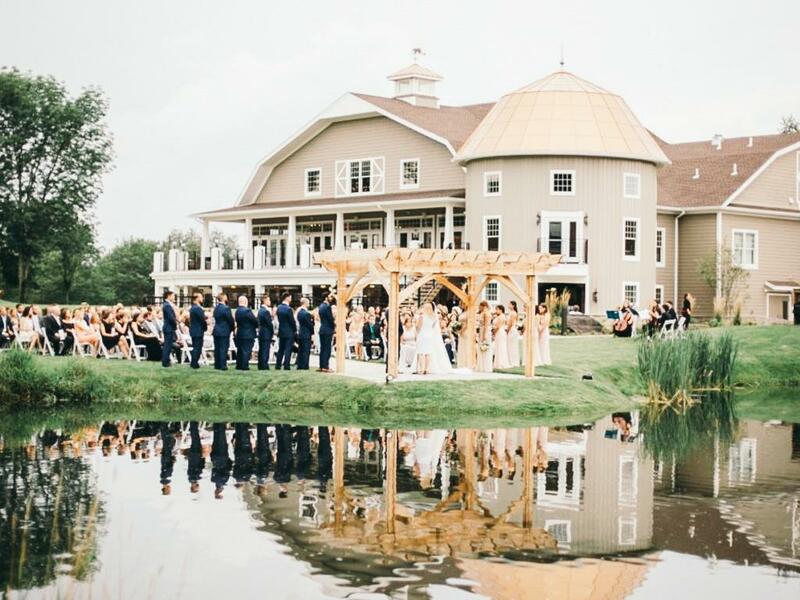 Get lost in the cornfields and oak trees while meandering the sprawling property, or hang in the wide-open events barn after getting ready for your wedding in the 5-bedroom farmhouse. You’ll be hard pressed to find a place with as much history as the “new” Graybarns on the Silvermine River. An artist outpost and stagecoach stop in the 17th century, textile factory in the 19th century and prohibition-era speakeasy turned classic country inn, this close-to-NYC Connecticut venue has always been a haven from the city and even played host for Elizabeth Taylor’s honeymoon (well, one of them at least). Opened in the summer of 2017 in London’s Shoreditch neighborhood, Nobu Hotel is a welcome addition. 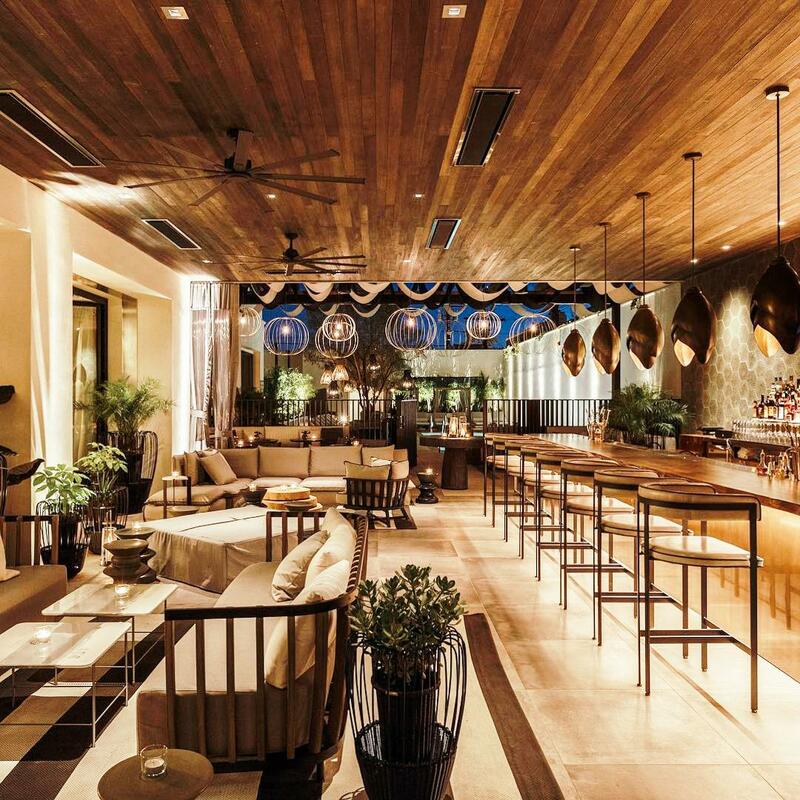 With a new Nobu restaurant, a dedicated event space named Kaijô and the ultimate japanese minimalist feel, this venue is perfect for everything from celebrating a product launch to tying the knot. 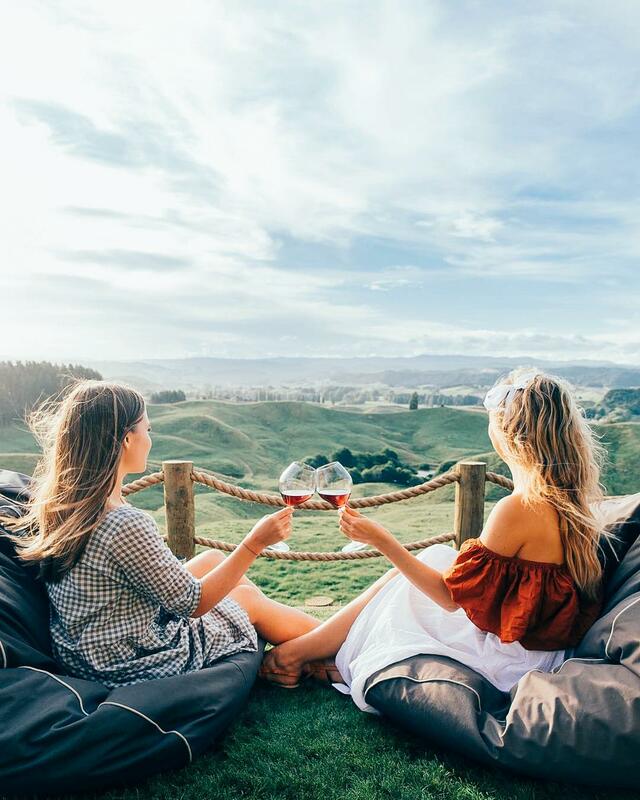 Set high above the hills of Waitomo, this New Zealand glamping spot is one you’ll want to write home about. Day adventures nearby include exploring waterfalls, a lost world, glowworm caves and tons of hiking terrain. Get ye to the Smoky Mountains this summer, y’all. 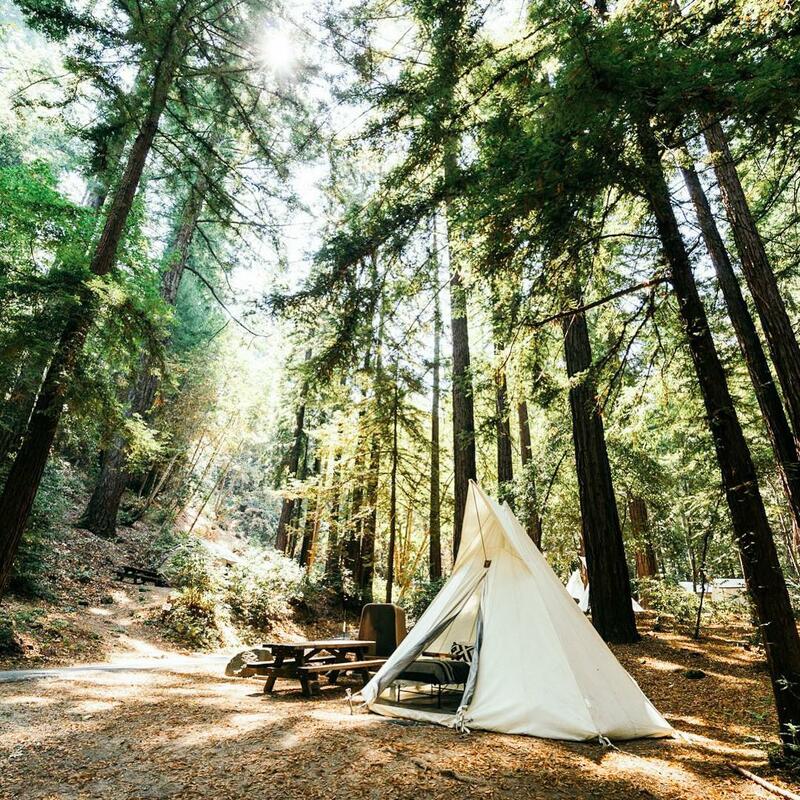 Under Canvas has announced the opening of another of their awesome safari tent and tipi glamping properties, this time in Gatlinburg, Tennessee. 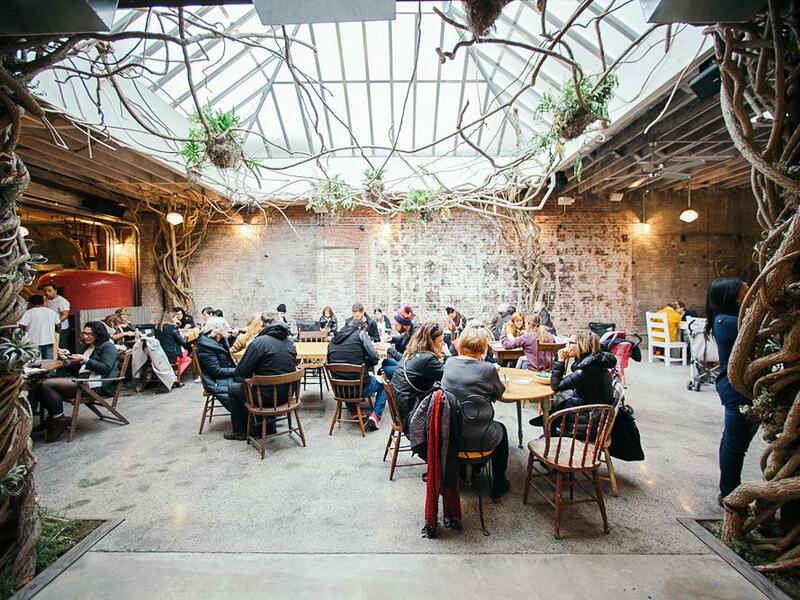 The Burrow is practically a secret venue in the Victorian countryside about an hour from Melbourne. Set on Wombat Forest Vineyard (because that’s a thing! 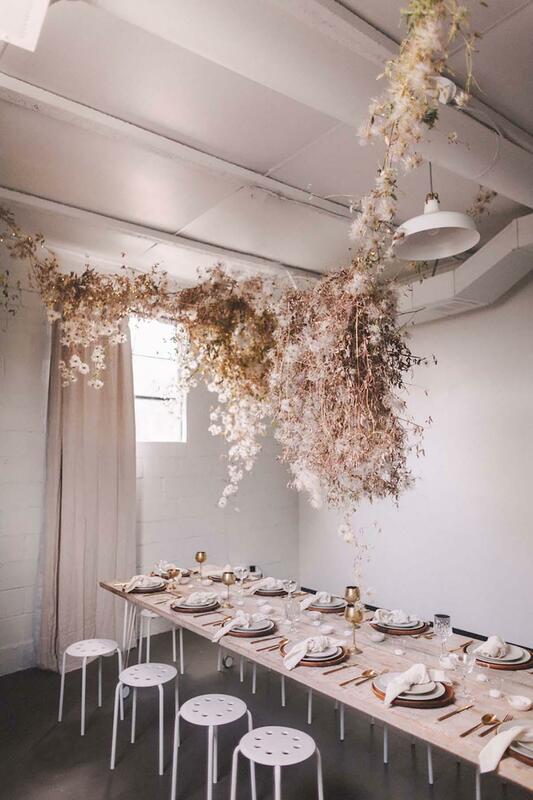 ), this wedding and events space combines rustic with elegance to create a lovely space that can suit up to 200 guests at a time. Yunnan Lu is known to Shanghai locals for its famous eateries and old amusement arcades. 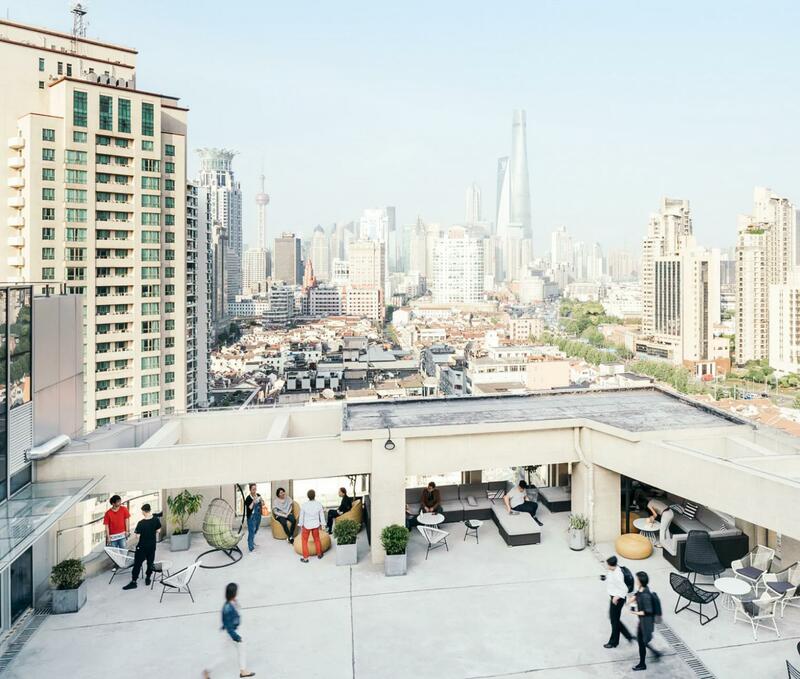 WeWork Shanghai offers desks for anyone looking to get out of their home office and into a bright, creative environment in a community that’s full of life. Located on Baltimore’s Rec Pier, this waterfront hotel and gathering hub opened in March of 2017. The historic property in Fell’s Point has been restored to its original glory, while the luxury event spaces reflect a modern sensibility. 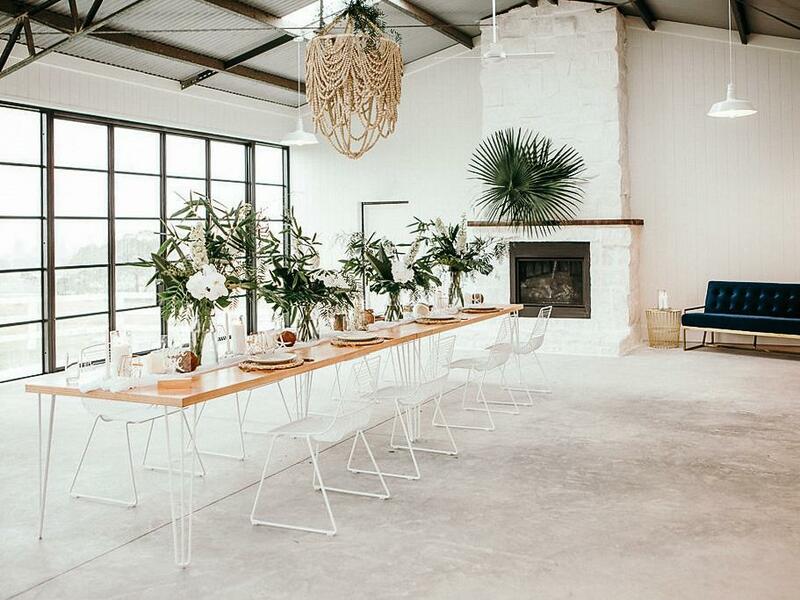 A boutique vineyard in the heart of Paso Robles wine country sets the scene for this new venue. 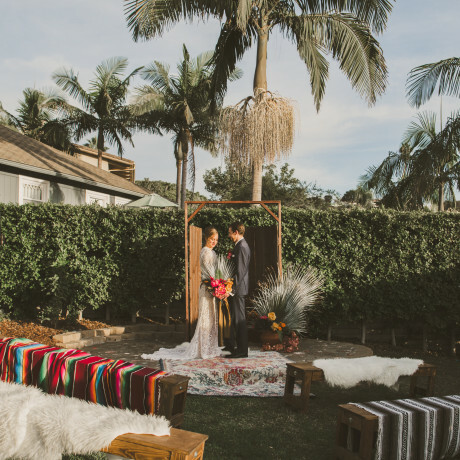 With an olive grove, a beautiful courtyard and a luxury villa, Rava Wines is an easy go-to for a central Cali wedding. Located on Bali’s south coast, beach access at COMO Uma Canggu is as easy as stepping outside your fit-for-royalty front door. 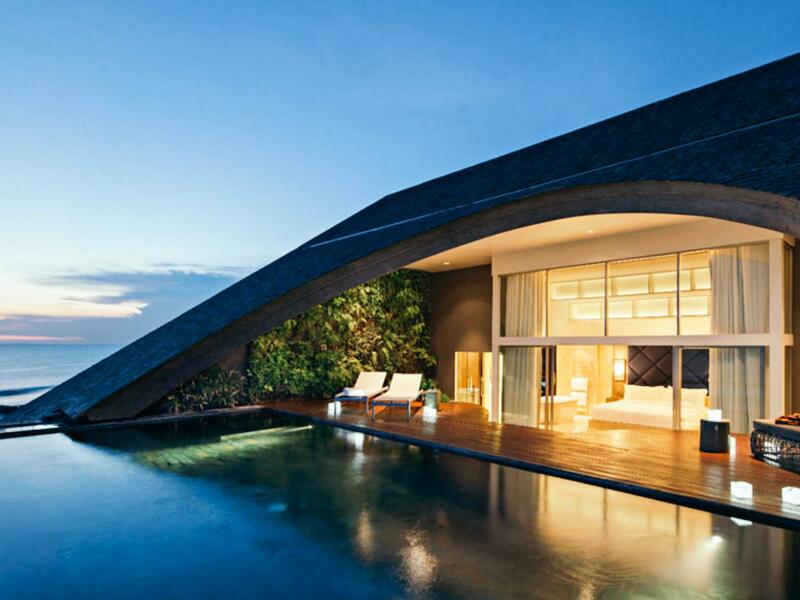 With penthouses perfect for small parties and a beach bar club for larger gatherings, COMO Uma Canggu is the next level in luxury for events. Located in San Diego's newly renovated Liberty Station, this new venue is actually quite old. 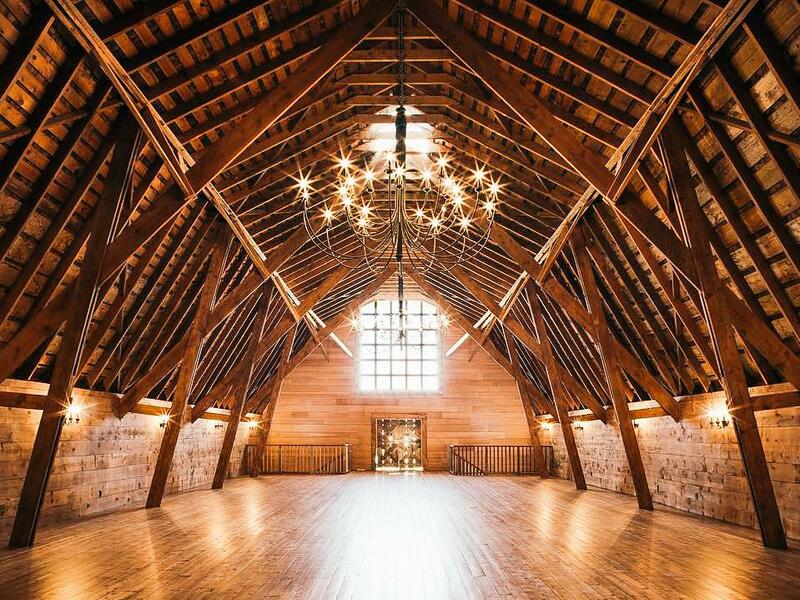 Built in 1941, this former library has been transformed into an event space with windows, soaring ceilings and exposed beams. 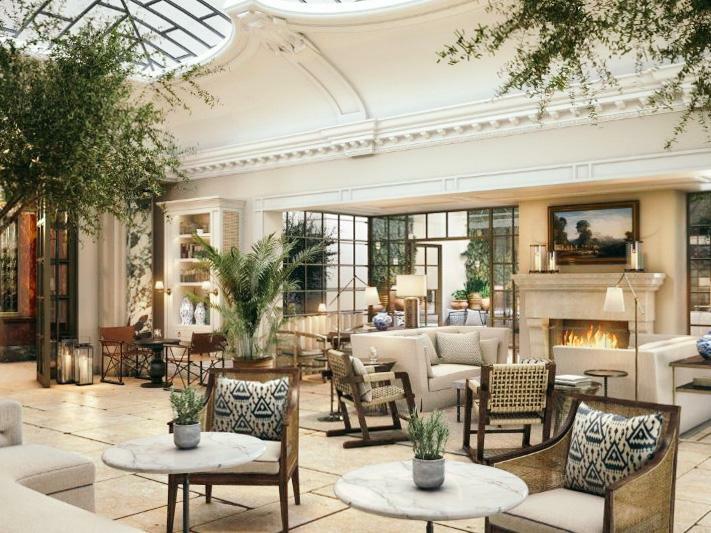 Spring in Savannah brings the opening of The Luxury Collection’s latest addition, the Perry Lane Hotel, a 167-room hotel with a rooftop pool and bar overlooking downtown. The rooms are spacious, event spaces stunning and Southern Hospitality reigns supreme. 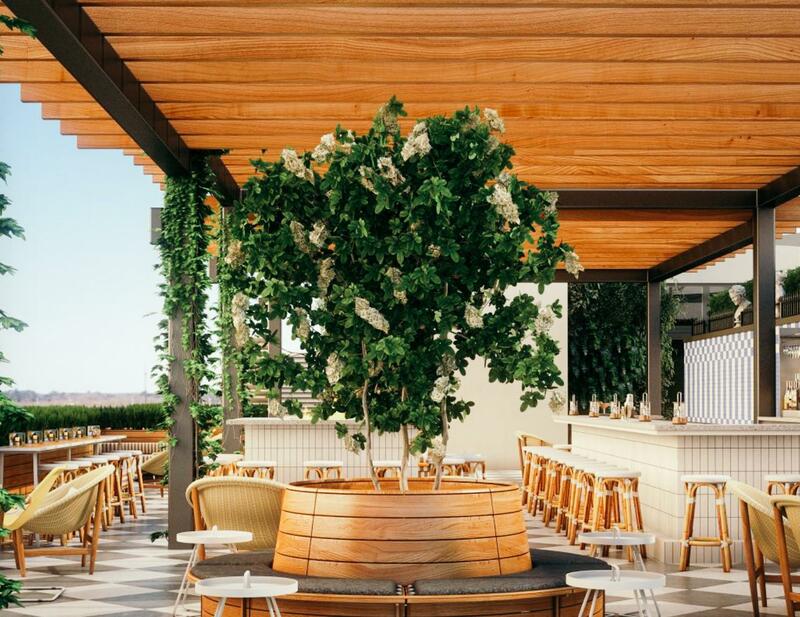 With a welcoming rooftop pool, pet friendly accommodations, and iconic views of the Hollywood Hills and Downtown LA, the newest arrival to LA’s sunset strip is the spot for a celebration in middle of the city. Our insider tip? Try the hotel’s eponymous cocktail, The Jeremy, a cachaca, lime, simple syrup and strawberry shrub concoction. 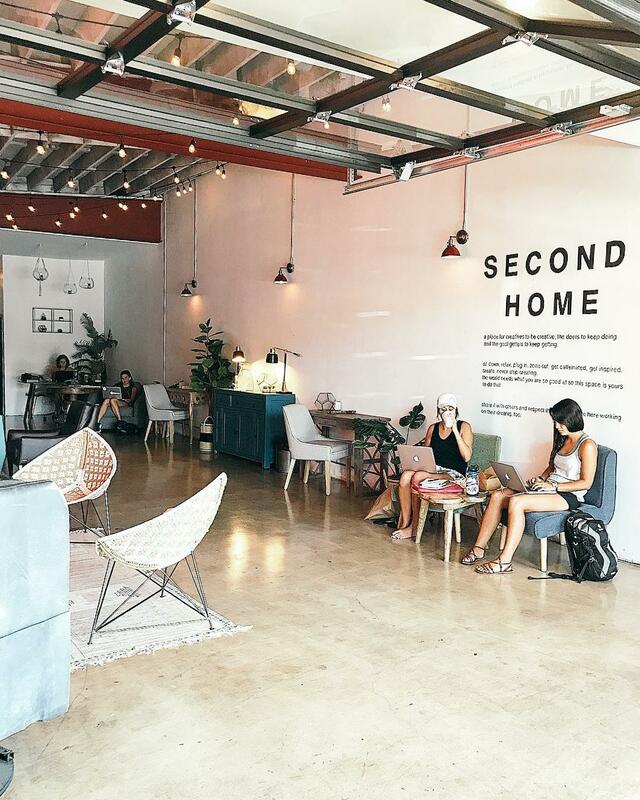 Second Home offers a free co-working space just beside its café in Costa Mesa. 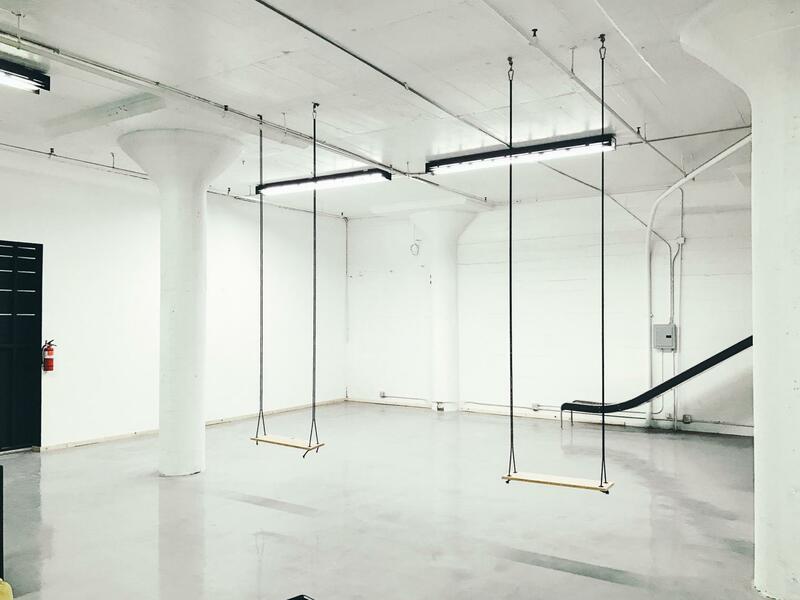 The industrial workspace also doubles as an event rental venue, so feel free to give these guys a shout when you’re planning your next party. This new Flatiron hotel offers every style of temp-living from bunk rooms to suites that are bigger than most NYC studio apartments. Freehand’s hotel rooms, all-day café, and cocktail bar just opened up this month and the stand-alone restaurant is soon to follow. The best part? The hotel was designed as a way for groups to explore NYC and still have enough money to eat (read: bunk beds). Europe would approve, and so do we. 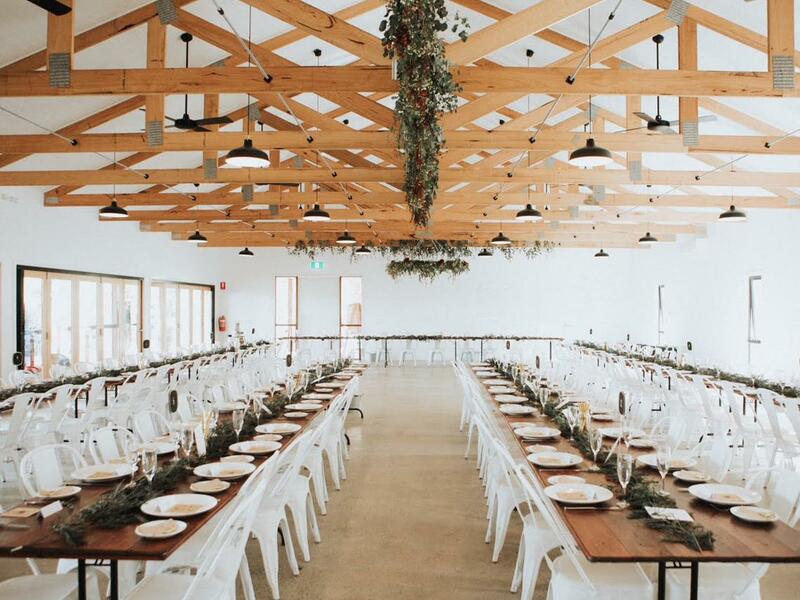 San Luis Obispo’s latest barn wedding venue addition, SummerSky Vineyard gives guests a party spot that feels both modern and rustic. With gorgeous views of the Edna Valley surrounds, it’s an awesome spot to utilize both indoors and out. 1 Hotel Brooklyn Bridge opened last spring, with beautiful guest rooms and even more stunning gathering spaces, including a seasonal rooftop and pool. After one stay in the property’s swanky Riverhouse with floor-to-ceiling windows and a carved stone soaking tub, you’ll never request a penthouse again. 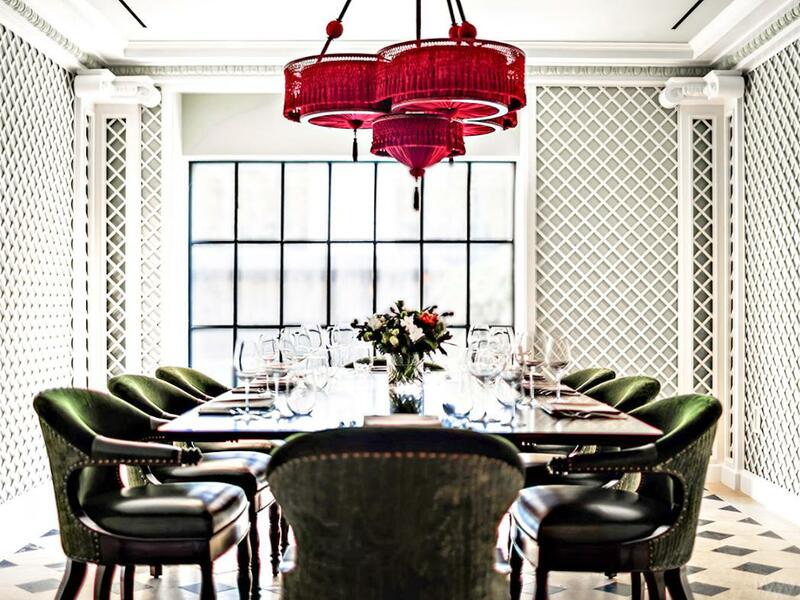 Enter the world of 1930s glamour at London’s the Ned. 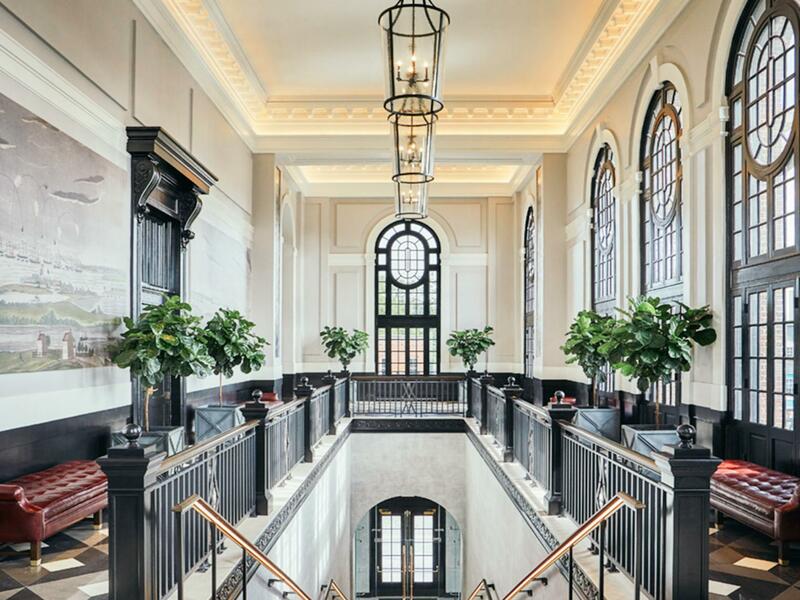 Opened in mid-2017, this historic property showcases the best of British design throughout its 249 bedrooms, nine restaurants, six event spaces, and luxurious spa. Ten cabins and eight cottages sit on this Nor Cal expanse of land in Philo. 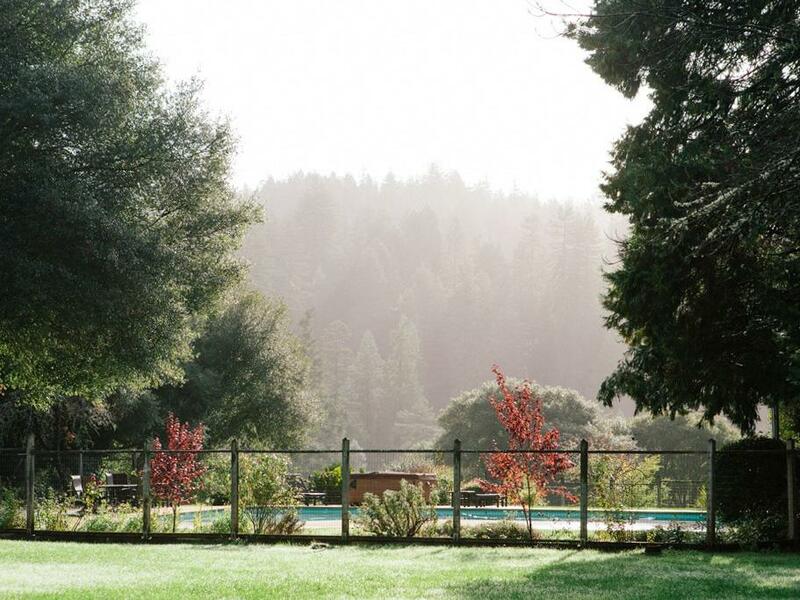 Surrounded by forest, rivers, redwoods and orchards, The Land focuses on events, weddings, retreats and getaways that celebrate the natural surrounds. With nearly endless event possibilities, invite 10 of your closest pals or your company of 300 to gather in the desert. This new Palm Desert boutique hotel by Autograph Collection is scheduled to open in February complete with their Grand Paseo Ballroom, expansive Event Lawn and sophisticated Boardroom. 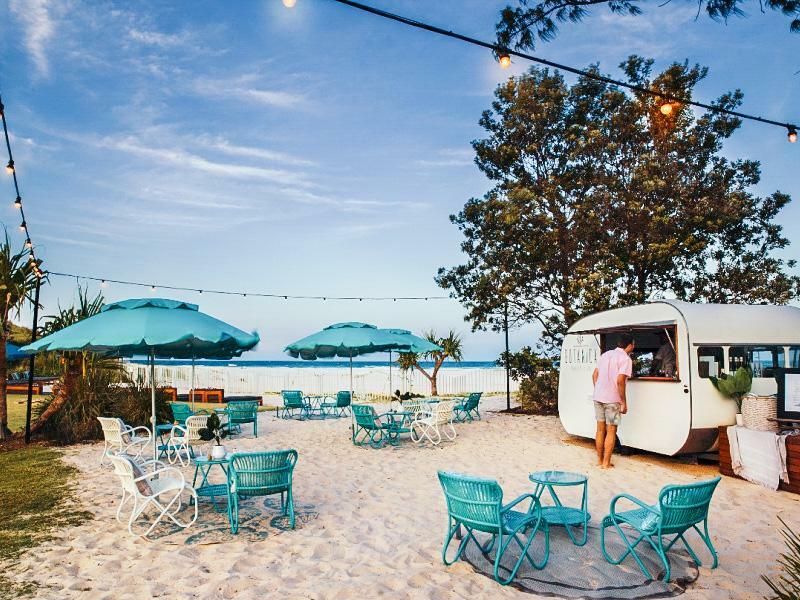 Sandbox touts itself as a modular events space, and it’s got a good thing going with its ability to adapt as a venue for events of varying sizes and layouts. 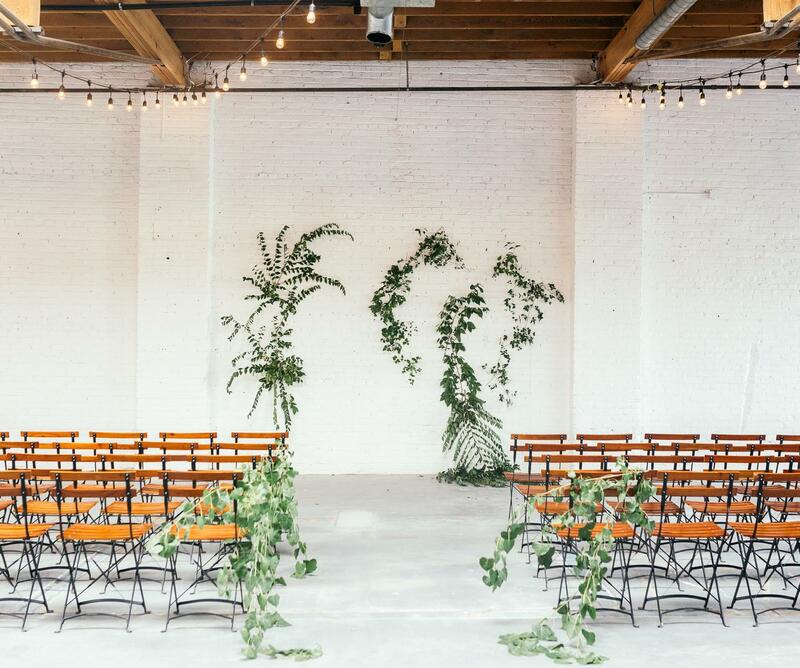 The industrial warehouse sits in San Diego’s East Village and can accommodate every type of event from workshops to corporate team building to luncheons to weddings. We love the Grand Canyon in all its sun-struck red-rock glory, so this opening has us really excited for 2019 (yep, we’re getting ahead of ourselves, but still stoked!). 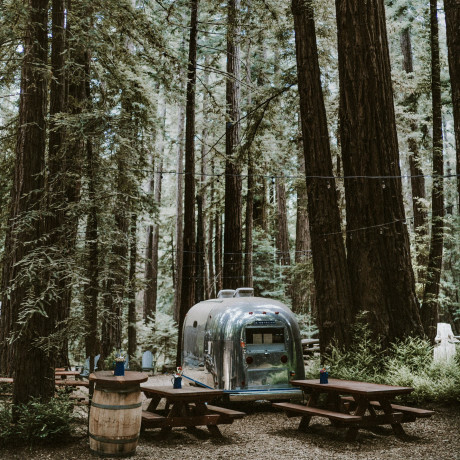 Perfect for large groups, have your camp-style family reunion or destination wedding on 56 acres of forest at this new installment of the Under Canvas brand. 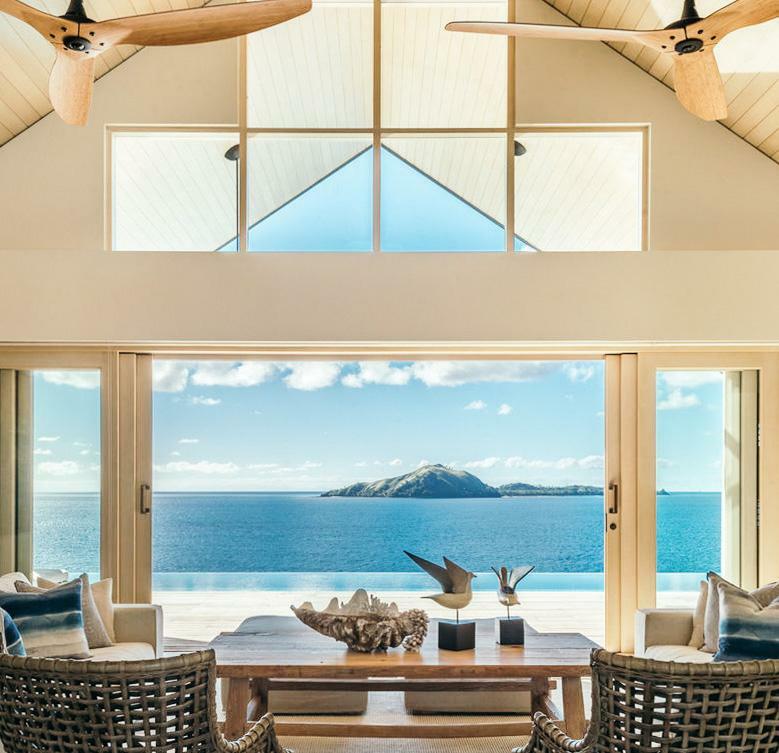 This Australian luxury resort in ever-trending Byron Bay just added 99 new villas and a sweet pool deck. We’re pretty sure you’ll love the additions to Elements of Byron if you’re planning a destination wedding, rehearsal dinner or epic soiree. This Calistoga 1940s roadside motel reopened last July with new owners and a whole new vibe. 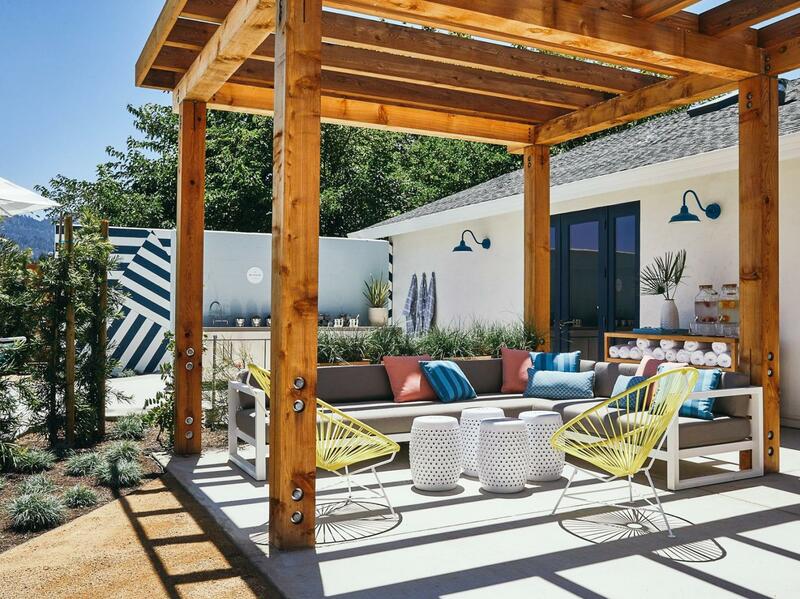 Calistoga Motor Lodge is located along Silverado Trail and has an indoor meeting room and sprawling outdoor gardens that can accommodate up to 120 guests. A massive marketplace located at the southern end of High Line Park in Manhattan, Gansevoort Market marries the old concept of open-air produce markets with today’s demand for more interactive experiences. The result is a mash-up of marketplace and community hub, with private event space for up to 400 guests added to the mix. 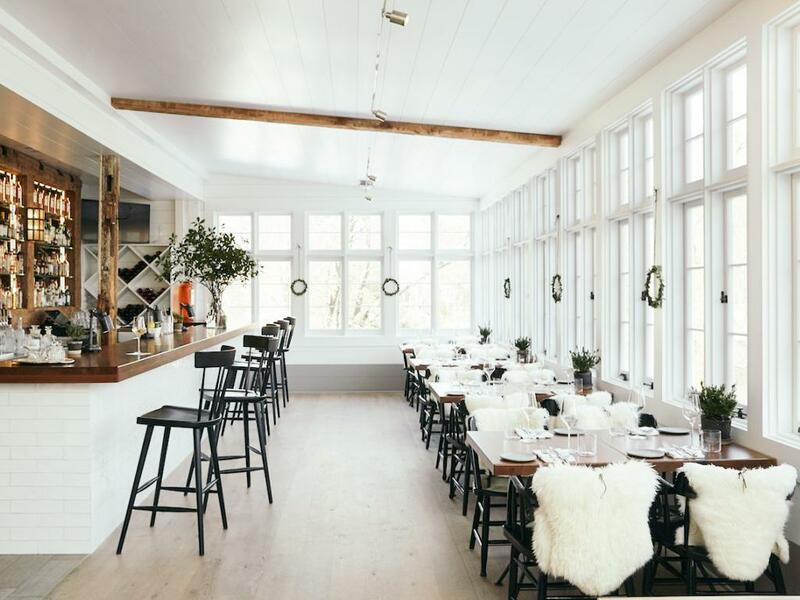 For New Yorkers looking to celebrate on Long Island without the crowds of the South Fork party scene, head north to historic Greenport where you’ll find a sleepy village and a lovely design hotel with on-site catering from Halyard Restaurant and a 3,000-square-foot indoor/outdoor event space. 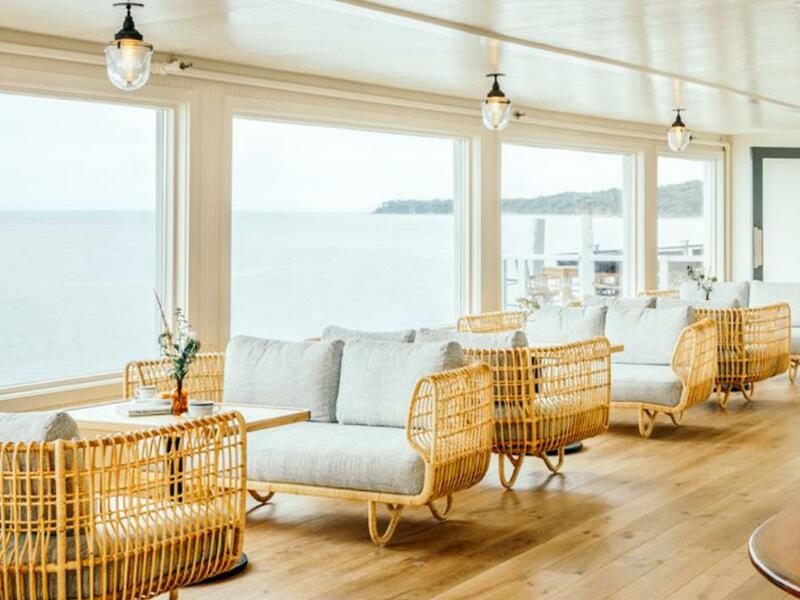 The quintessential East Coast seaside getaway, Soundview Greenport opened just at the end of last summer. 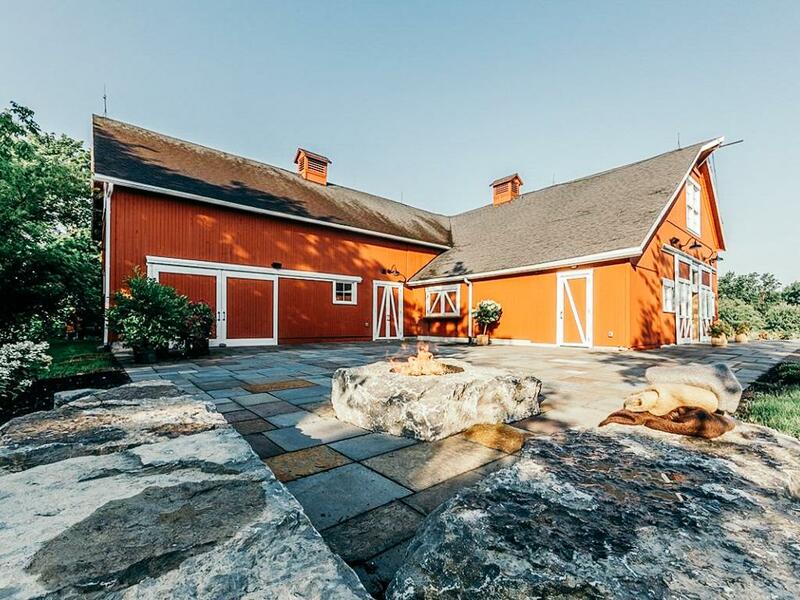 There are two beautiful old barns that date back to the early 1800s at this sprawling central NY property, one of bluestone and slate and the other of red-painted timber. Windridge Estate opened as a wedding venue last year and can accommodate up to 350 guests for a party in the peaceful pastoral setting. 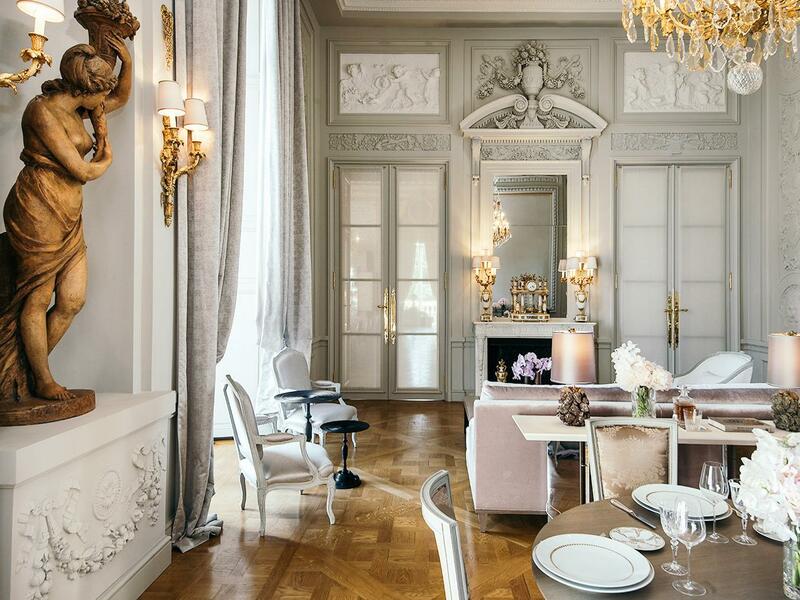 Hotel de Crillon opened its doors in July of last year, revealing the rebirth of a Parisian icon. A Rosewood Hotel, luxury is undoubtedly the name of the game, as evidenced in every design decision from the Karl Lagerfeld-designed Grands Appartements to the salons and terraces overlooking Paris. 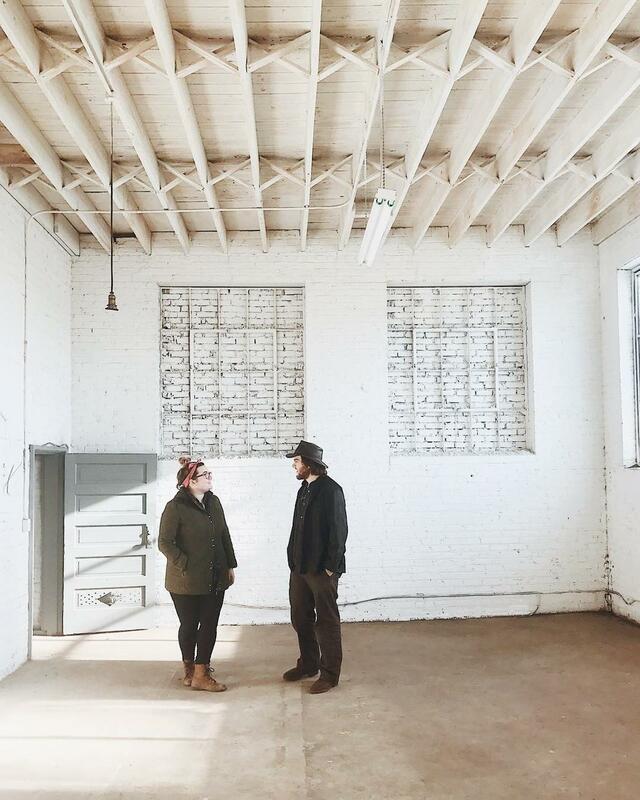 Set to open this spring, Brick & Ivy in Utica is a reformation of a late 19th century factory. The industrial space is still under way, so we don’t have all the details yet, but you’ll definitely want to keep an eye out for this one. 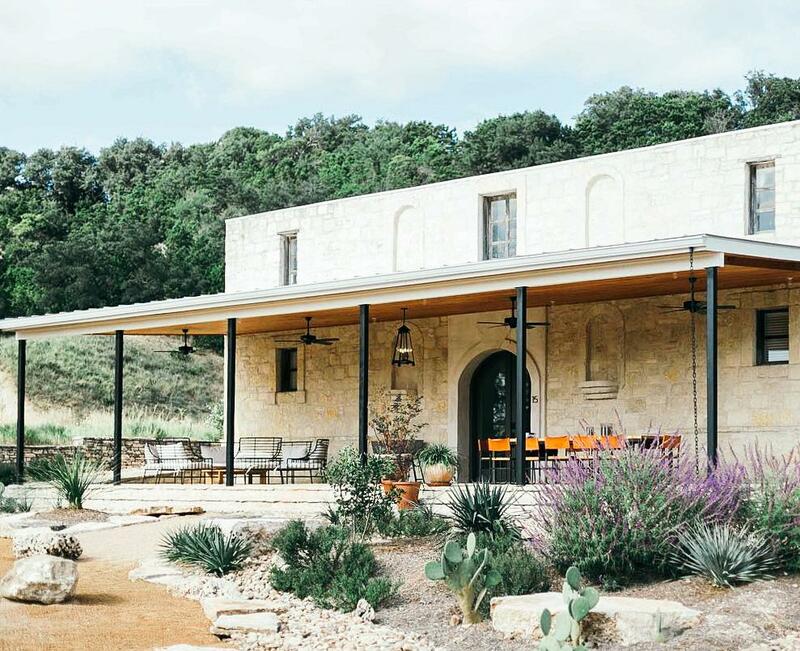 This Texas Hill Country venue officially opened its ten cottages and four historic cabins to the public last summer. 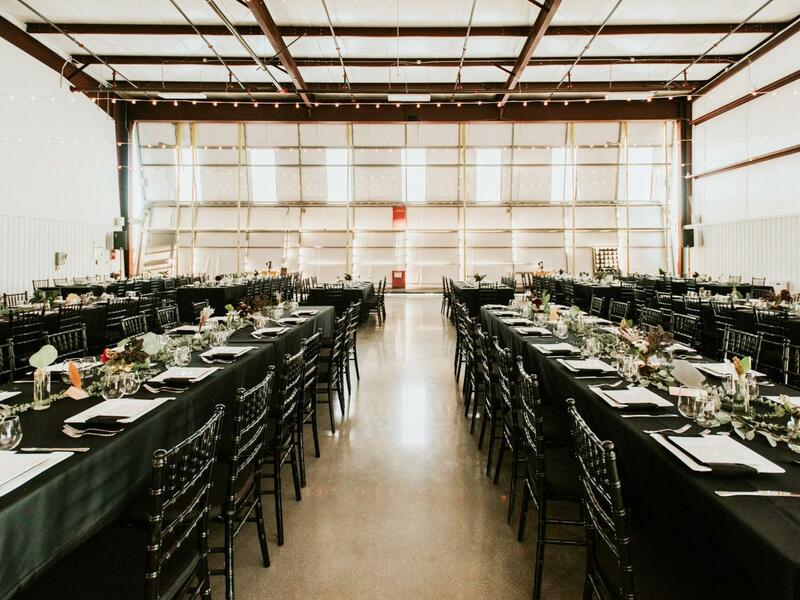 Set on a working ranch in Fredericksburg, Contigo Ranch is also home to a sprawling event hall and plenty of hilly spaces for outdoor parties surrounded by ancient oak trees. West Hollywood’s Design District is welcoming a new, you guessed it, design-centric hotel this month. Kimpton La Peer Hotel has over a hundred rooms and sits just between Melrose Avenue and Santa Monica Boulevard. 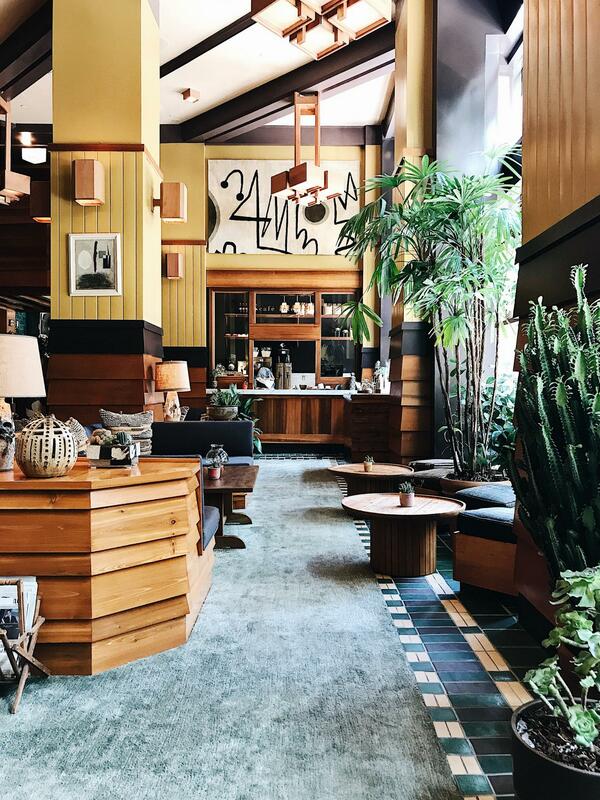 Complete with a feather chandelier, poolside sculptures and plenty of plants that you’re sure to see all over your feeds, the La Peer is a welcomed hideaway in the center of the action. Downtown Indianapolis is the stomping grounds for this cool industrial party spot. Industry is located in an 11,000 square foot warehouse and former manufacturing shop that dates back over a hundred years. 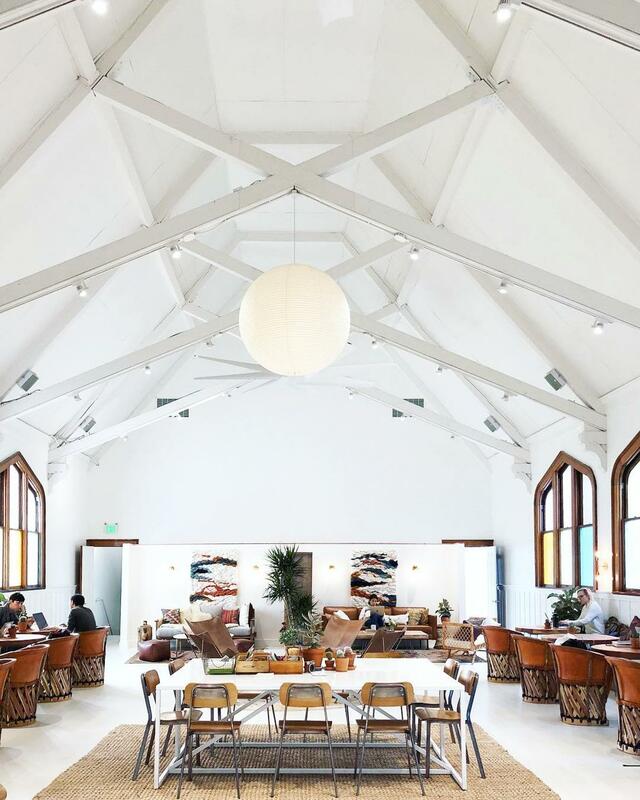 The golden rolling hills of Tomales Bay in Northern California provide the backdrop for weddings at the new venue aptly called The Haven at Tomales. 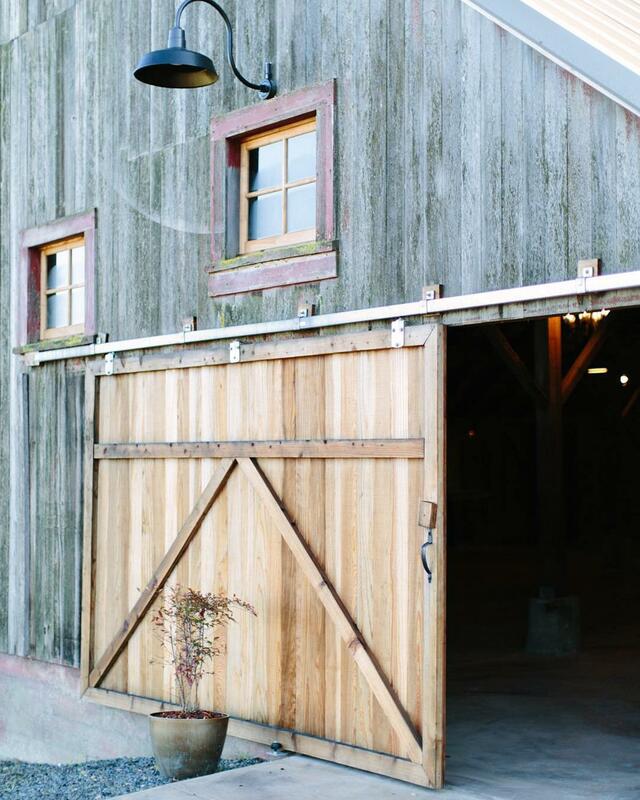 With gardens, terraces, fields of lavender, a historic barn, a covered veranda, and getting ready suites on-site, this little unknown venue is one of Nor Cal’s best kept secrets. 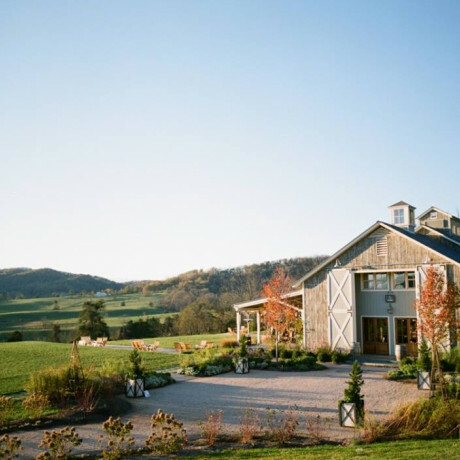 The Kentucky countryside sets the scene for this gorgeous Appalachian Mountain estate. Hemlock Springs opened last year and makes a great setting for weddings of up to 200 guests. Opening this year, the newest installment of the EDITION family is said to include a 5,000 sq. ft. performance venue, a 1,900 sq. 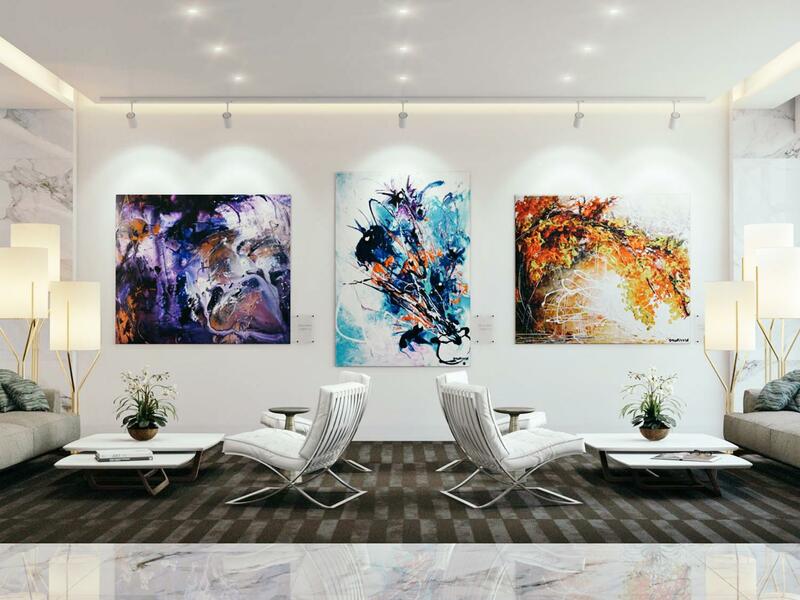 ft. meeting studio, 5,800 sq. ft. beer garden and event deck overlooking Times Square AND an all-day dining venue also featuring terraces with views of Times Square. All we can say is, holy square footage in the square. 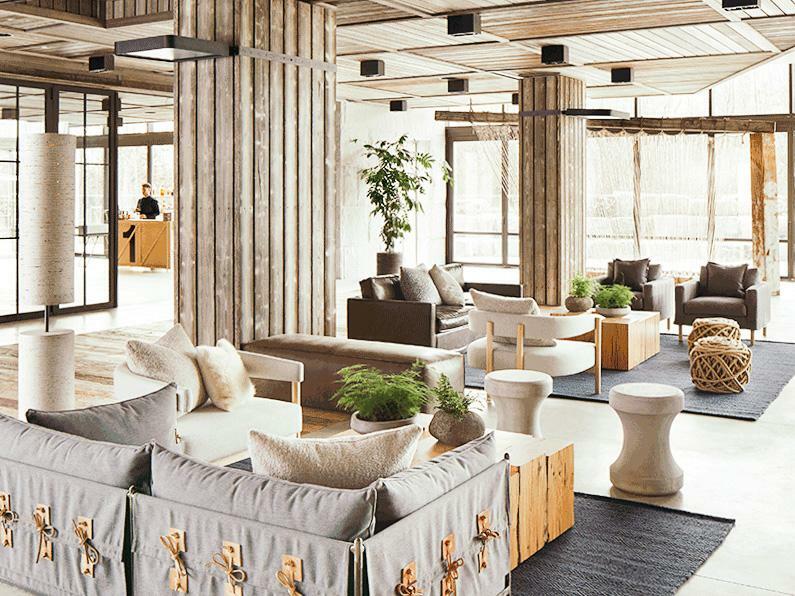 Dubbed a “retro chic tropical retreat,” Lux* Grand Gaube in Mauritius opened in December. 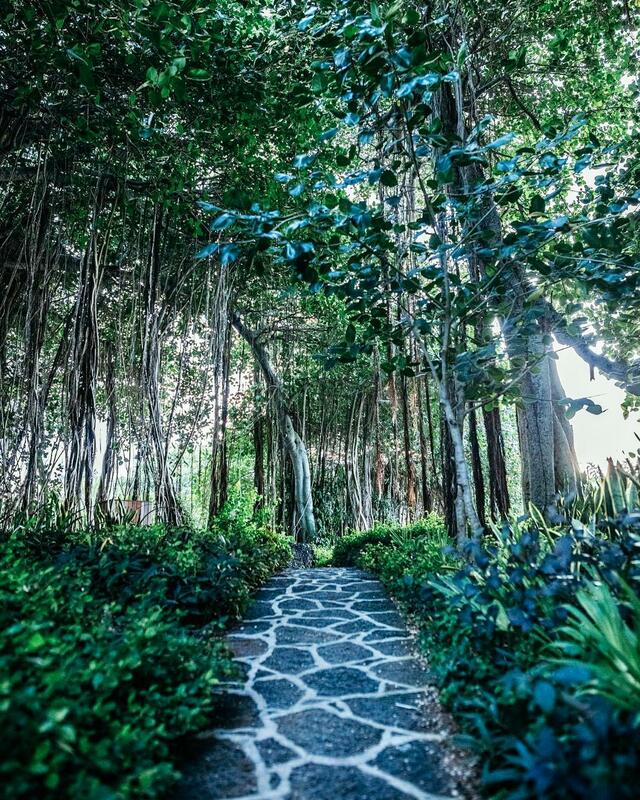 Celebrate amongst lush tropical gardens, the calmest of lagoons and tropical beaches. Check your stress at baggage claim and prepare for paradise. 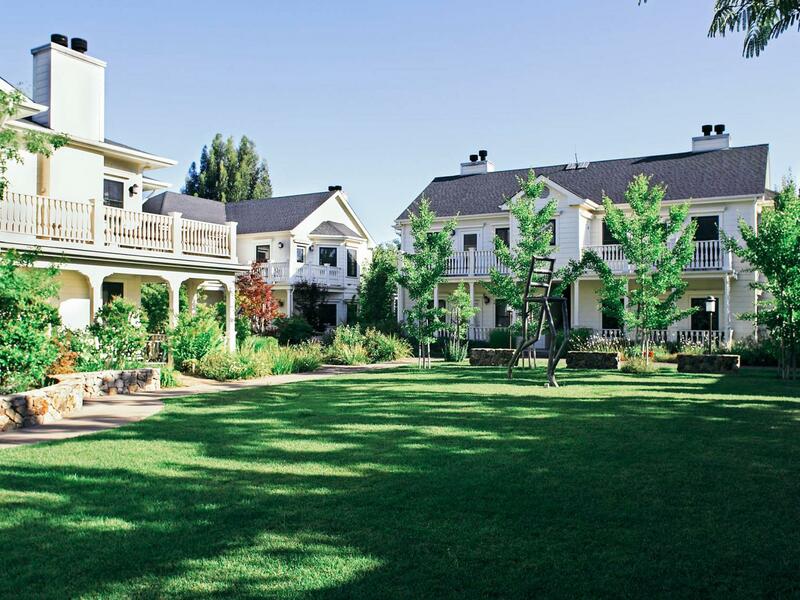 Sonoma’s favorite Victorian farmhouse hotel will reopen this summer following a thorough upgrade to its spa, pool, gardens and restaurants. This boutique hotel is a go-to for charming weddings and events up to 125 people with venue options ranging from sprawling gardens to dining rooms. 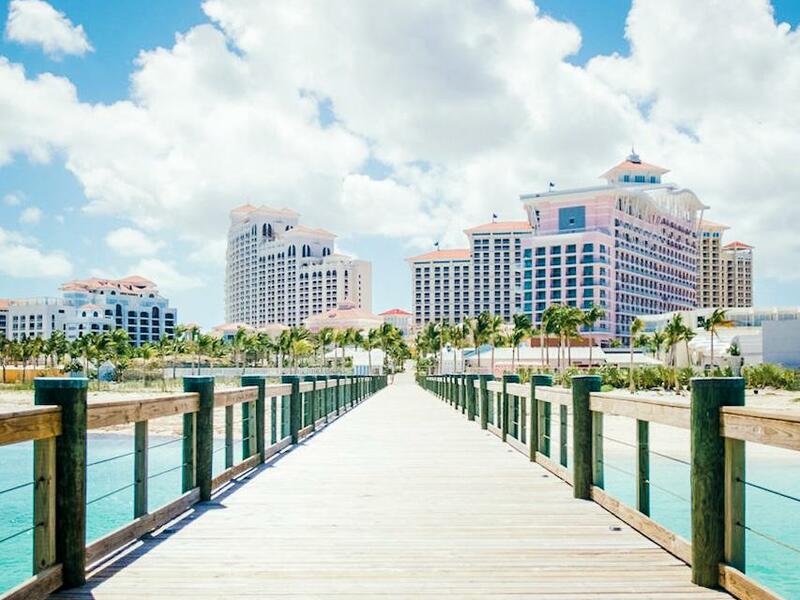 Taking reservations starting June 1st, the new Nassau Rosewood property is a revamp of a section of Baha Mar. With 185 suites in the making plus 5 exclusive beachfront villas and outdoor venue spaces, Nassau Rosewood is sure to set the bar high for your next toes-in-sand tropical destination event. 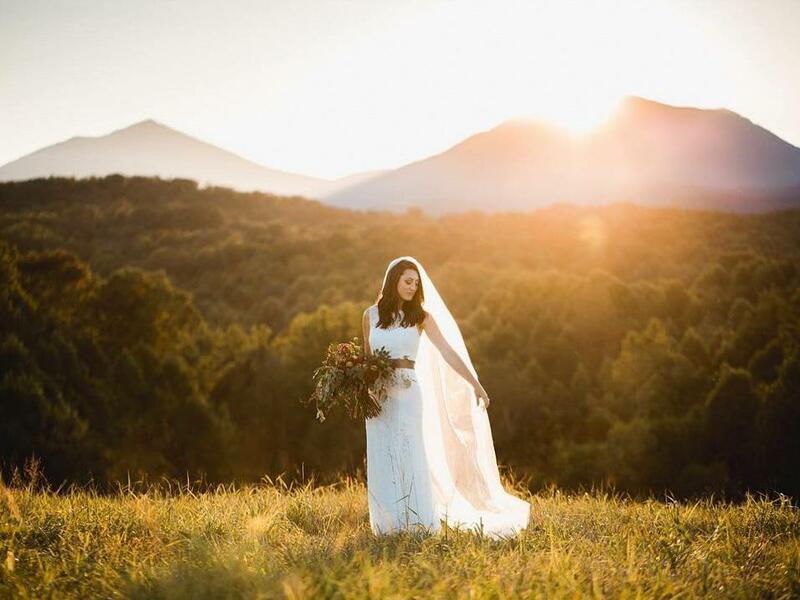 If you’re planning a big Jersey wedding and want to be able to have an outdoor ceremony surrounded by rolling hills and grassy lawns, Bear Brook Valley could be your spot. 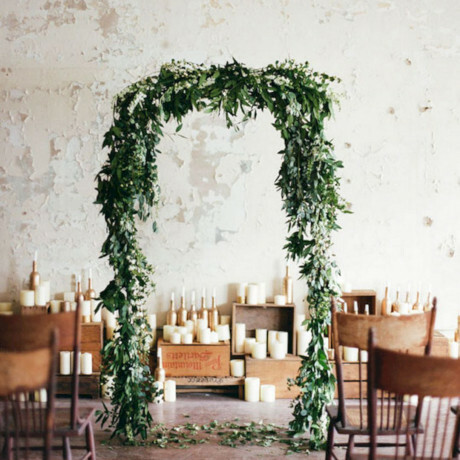 With its Cape Cod style architecture and huge event spaces that fit up to four hundred guests, this Sussex County stand-out feels natural, elegant and totally charming. Surrounded by 90 acres of green hills, river, trees, pond and brook, Cunningham Farm has all the pastoral calm one could hope for in a Maryland countryside venue. 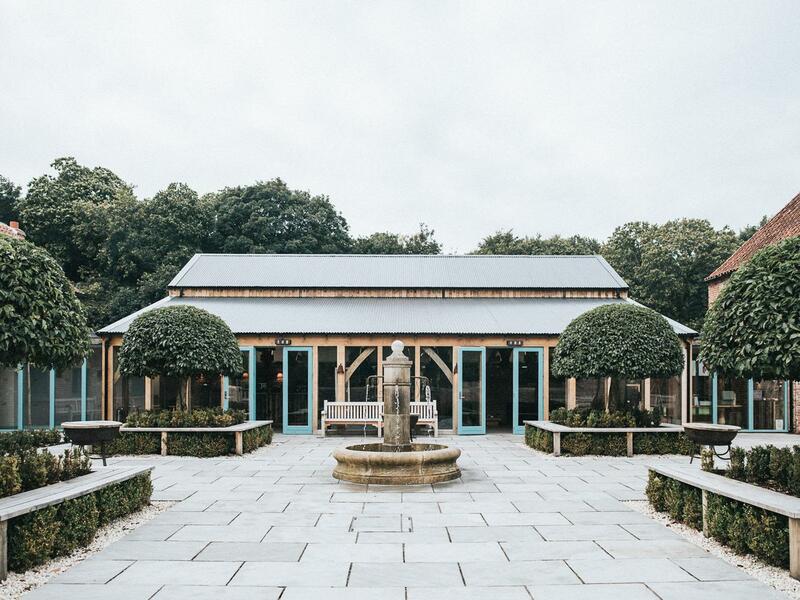 For weddings and events, there are three barns on-site alongside a gorgeous little farmhouse and a getting ready suite. 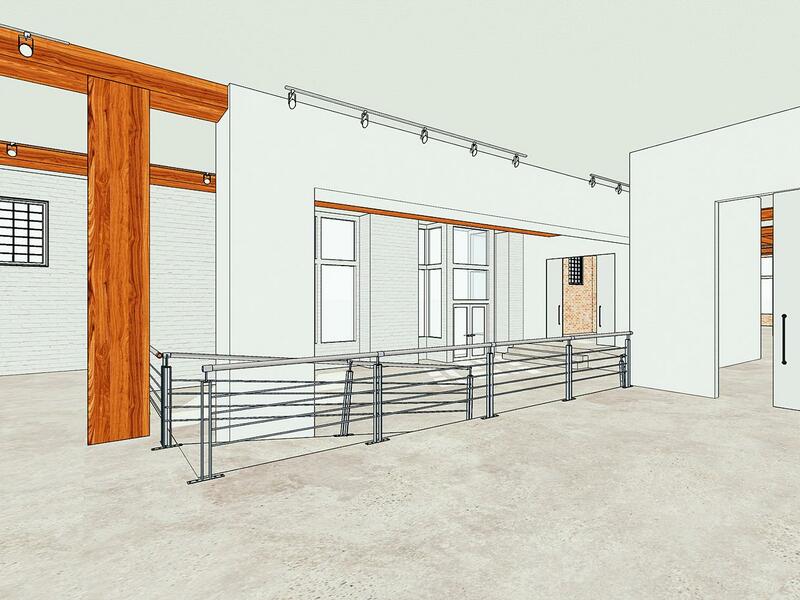 Downtown Denver's River North Art District (aka RiNo) is getting a new neighbor this spring. Inspired by the French Salons of the 17th century, The Ramble, a 50 room boutique concept will be complete with a theatre event space, cocktail bar and our favorite bit, unique antique rugs in each guest room. Dating back to 1898, The Principal London is a storied hotel, long part of the local Bloomsbury history. 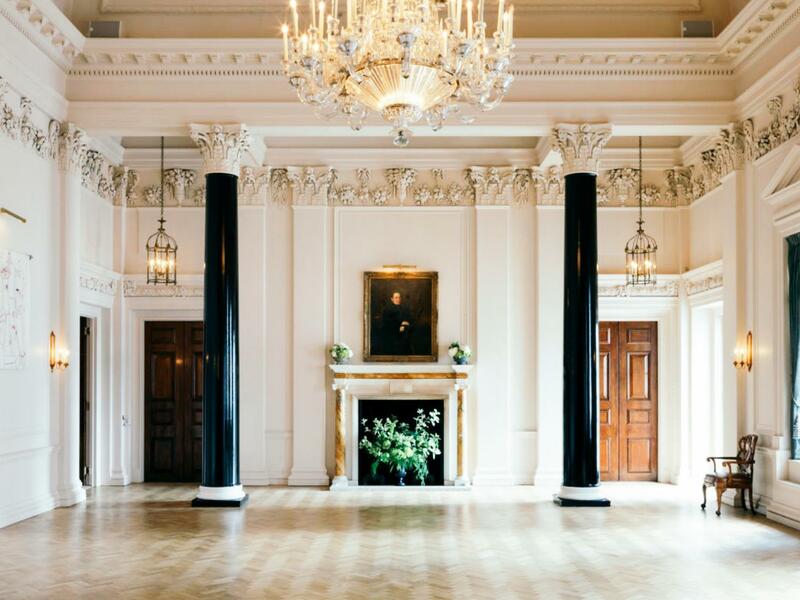 Following a restoration, the grounds are set to reopen in February with Charles Fitzroy Doll's ballroom with space for 450 guests. 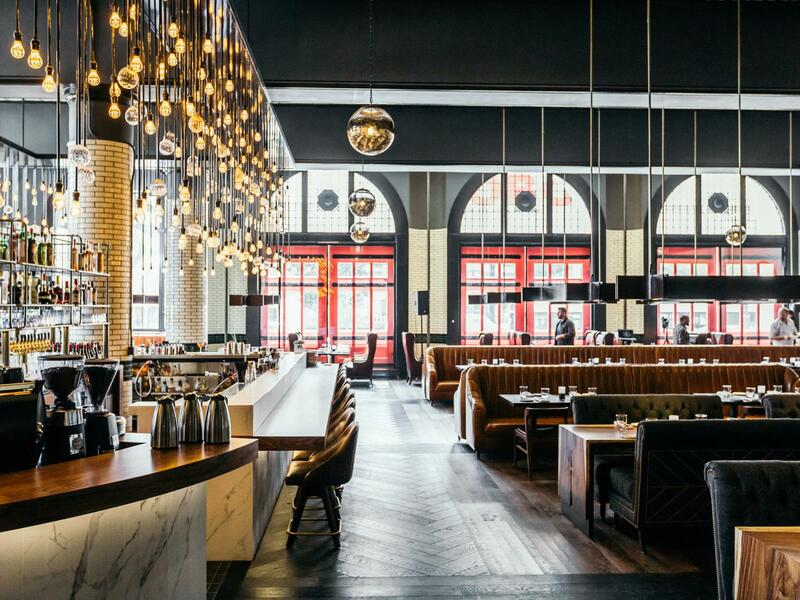 Another venue from the team behind Industry and Skylight is headed to Seattle. Located at the intersection of South Jackson and 1st Avenue South, The 101 will double as art gallery and event space when it opens next fall. The Doha skyline gained a new addition last year, with the building of the Mondrian in Qatar. The exterior is as wild and dreamlike as the interiors, both clearly designed to impress not only with opulence but creativity as well. 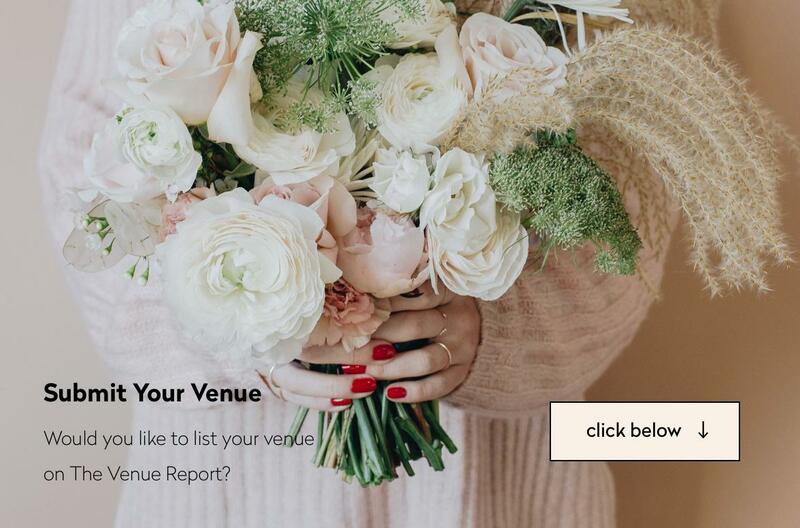 Virginia’s getting a newly constructed events venue this spring and it’s certainly one to look out for if you’re planning a wedding in the Lynchburg or Roanoke area. Glass Hill Venue will feature a huge events space for up to 200 guests that overlooks the scenic Blue Ridge Mountains. Bishop’s Lodge in Santa Fe is celebrating a century-long legacy with a bit of a revamp. 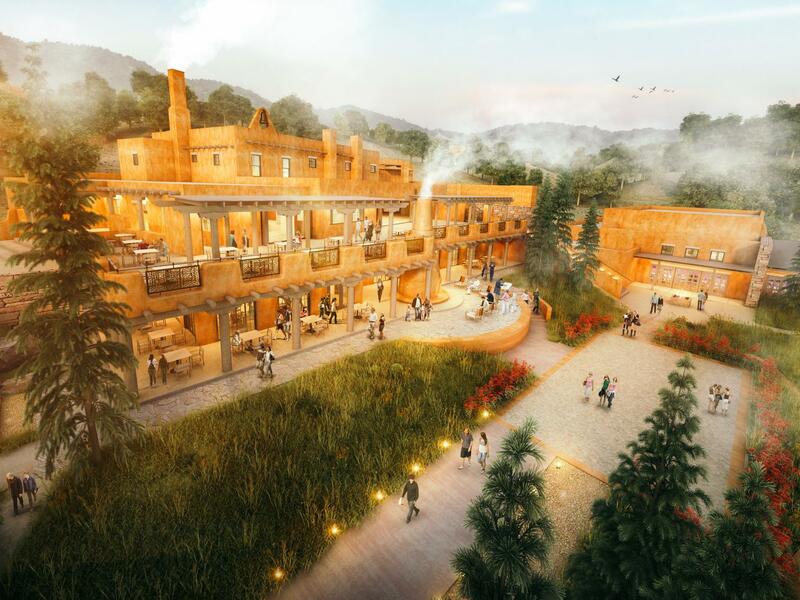 The Auberge Resort, slated to reopen in autumn of 2018, will feature luxe Southwest lodge vibes including glamping tents and three to four-bedroom residences. 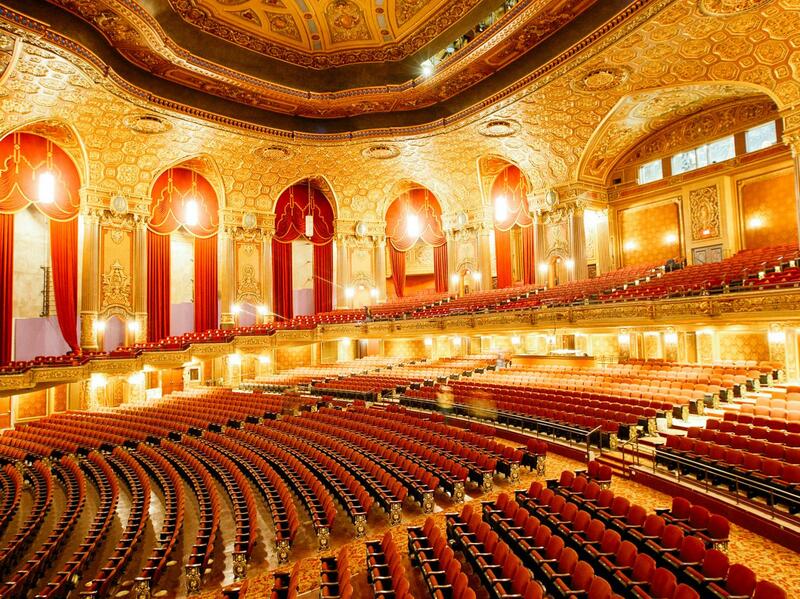 The historic Kings Theatre in Brooklyn is back in action following forty years of sitting in dust and an epic restoration effort. The 3,250-seater reopened back in February last year and has been hosting regular events and concerts since. It’s rustic, it’s worn and it’s over a hundred years aged. 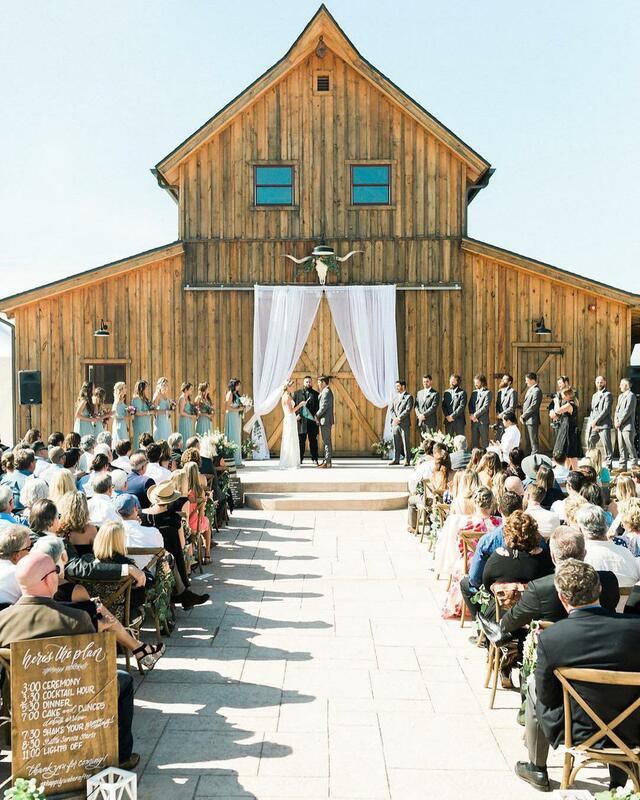 White Barn Happy Valley in Idaho offers ample space for up to 225 wedding guests in a barn that’s got all the character and charm a gal this age can offer. 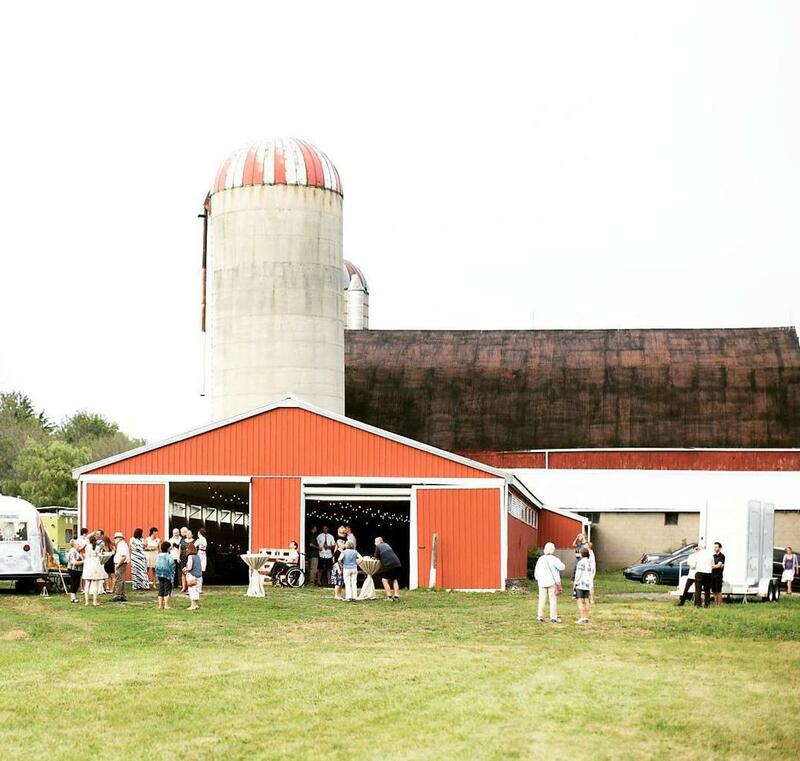 If a country wedding is your kind of party, head out to this Niagara farm. Willow Lane is a sprawling bit of land with a few beautiful century-old red barns that make pretty awesome territory for a farm fête.